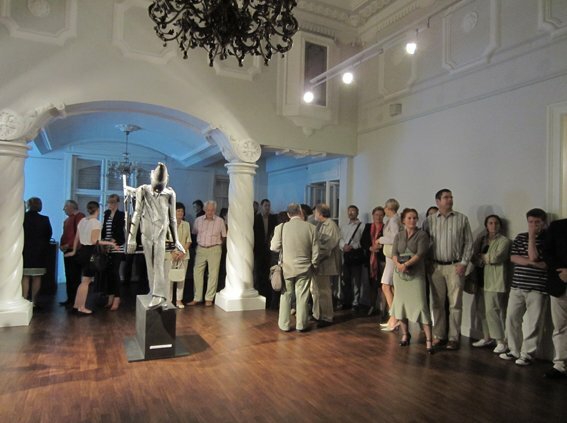 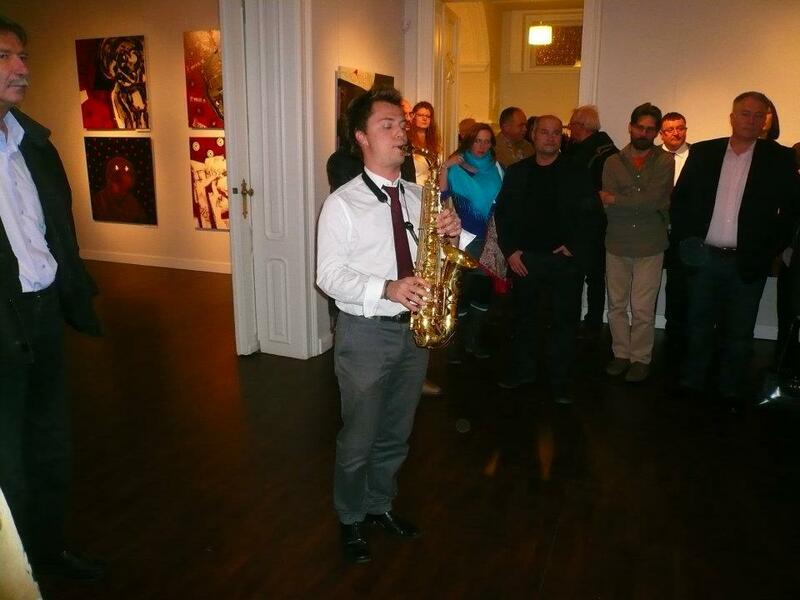 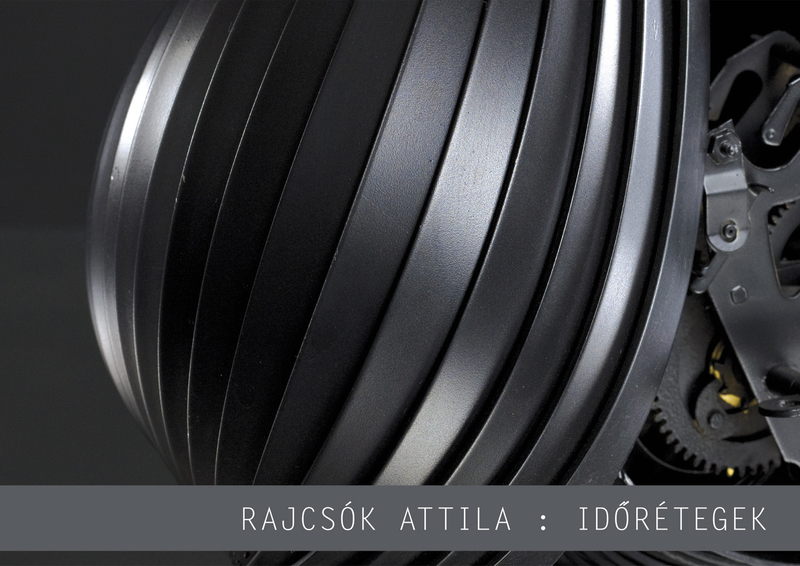 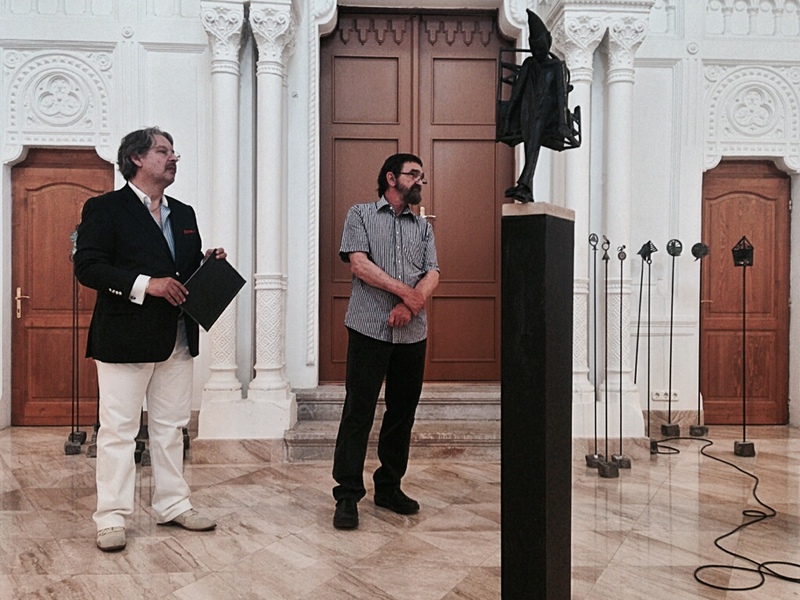 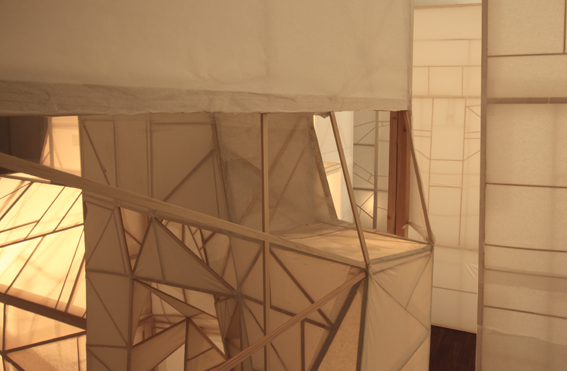 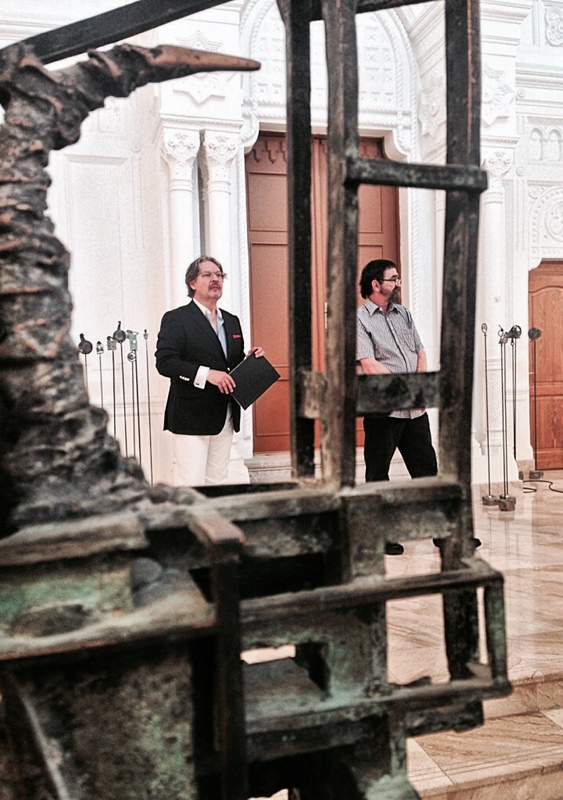 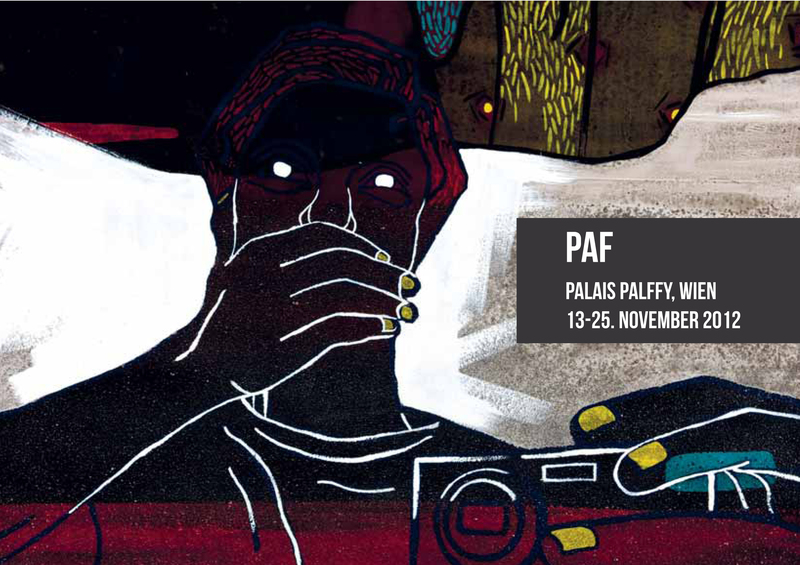 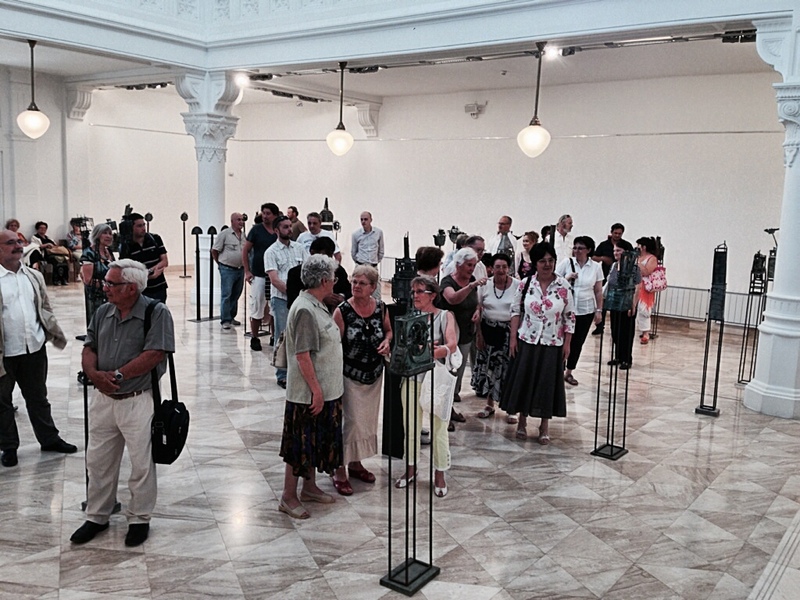 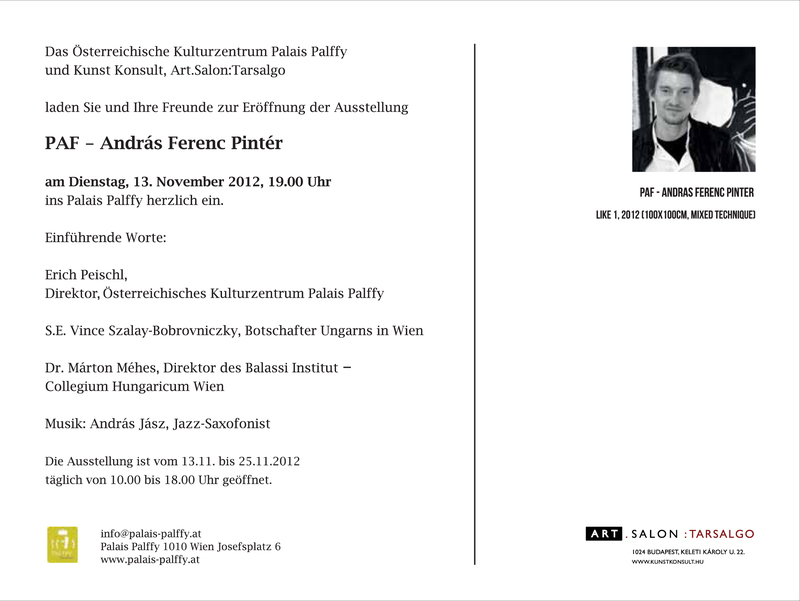 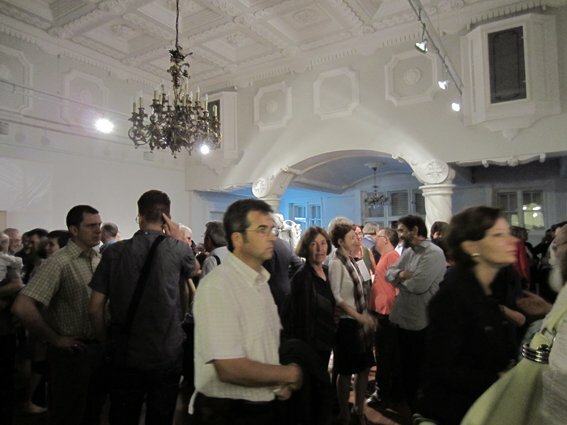 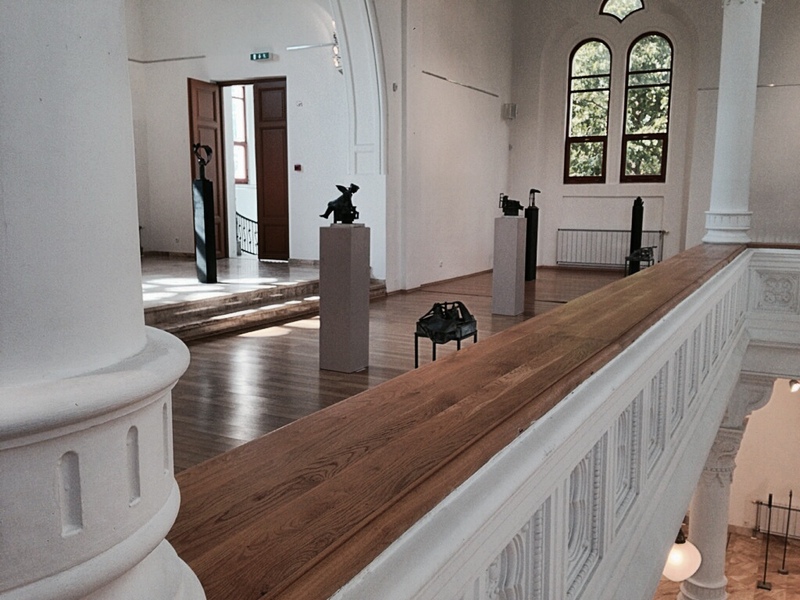 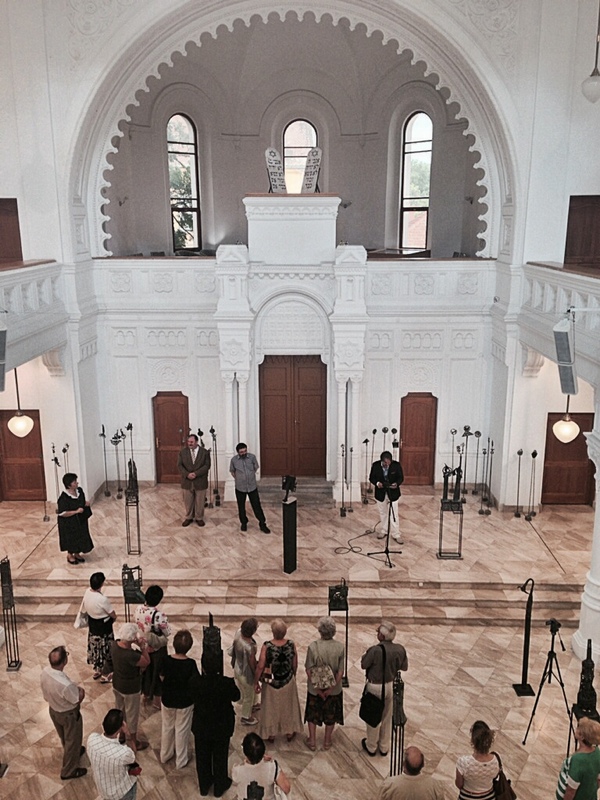 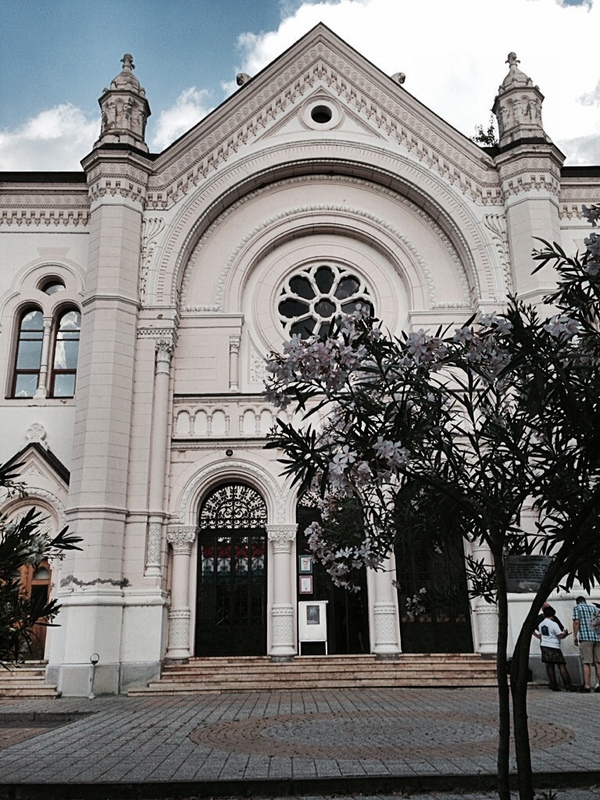 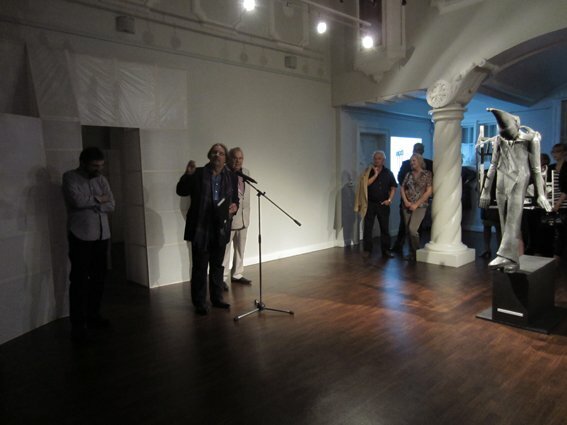 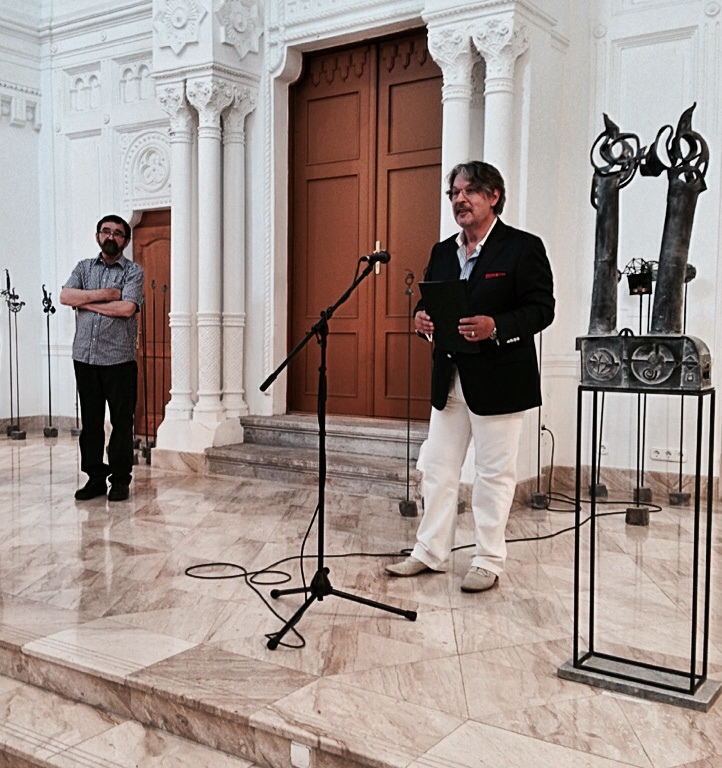 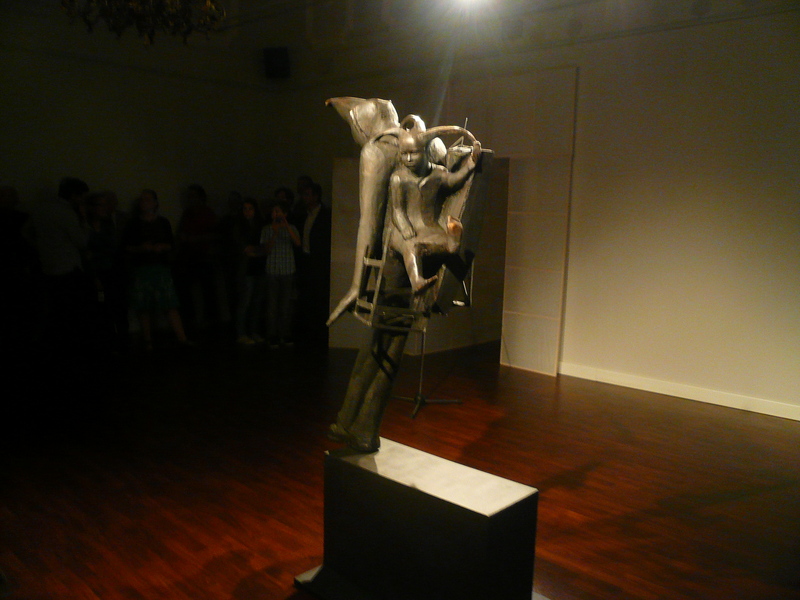 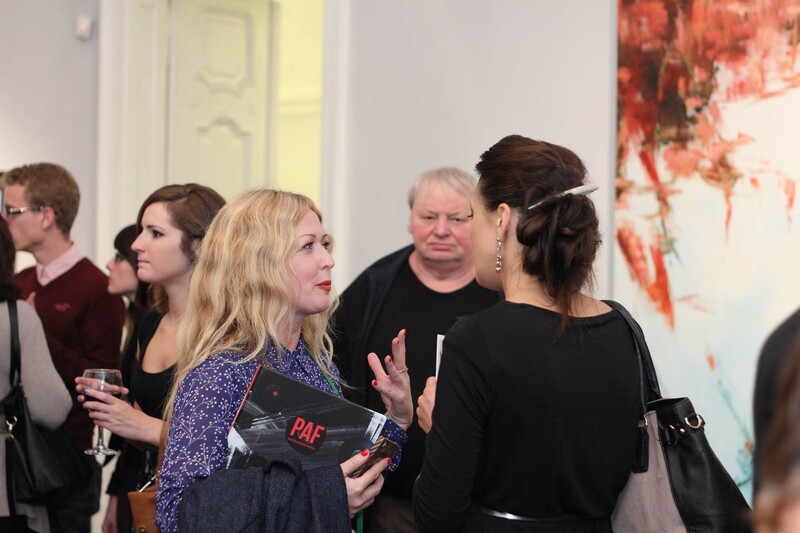 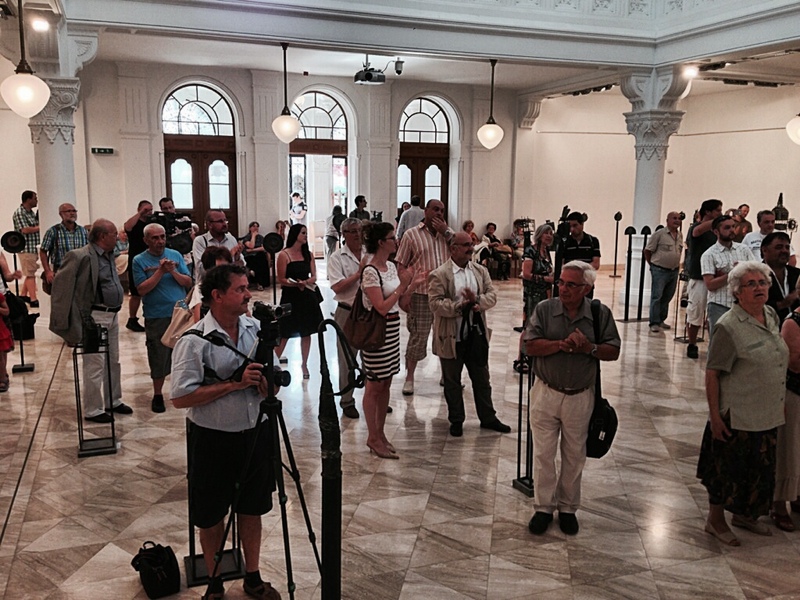 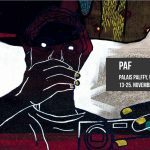 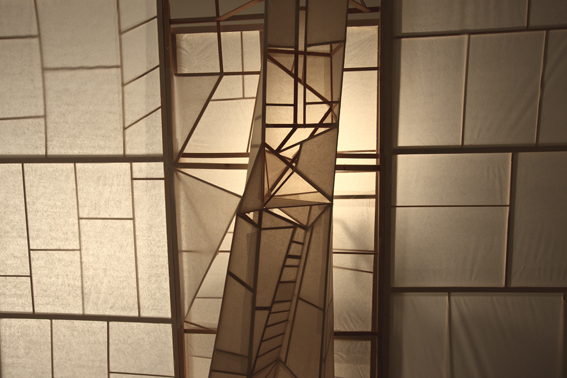 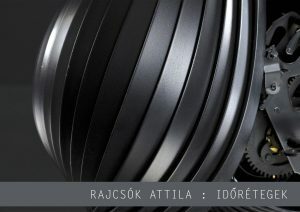 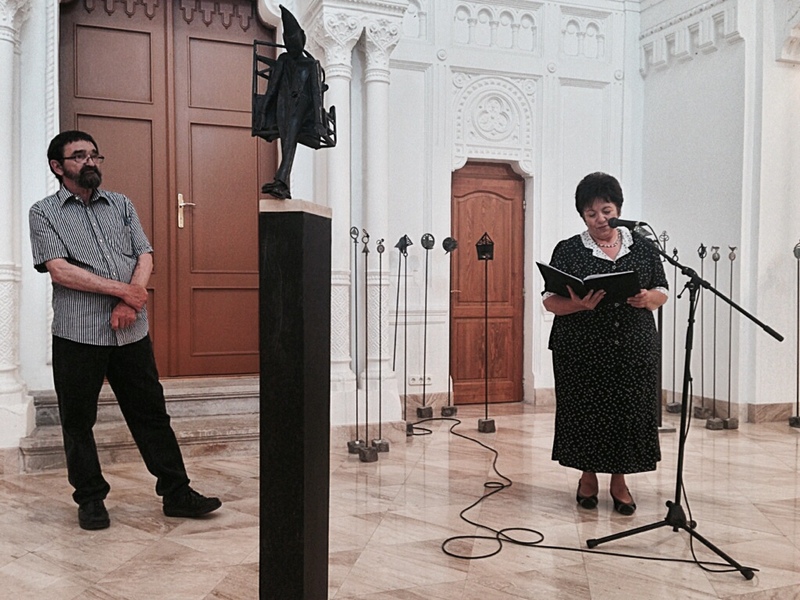 On 14th of August the individual exhibition of PAF opened with great success at the Nádor Gallery in the city of Pécs. 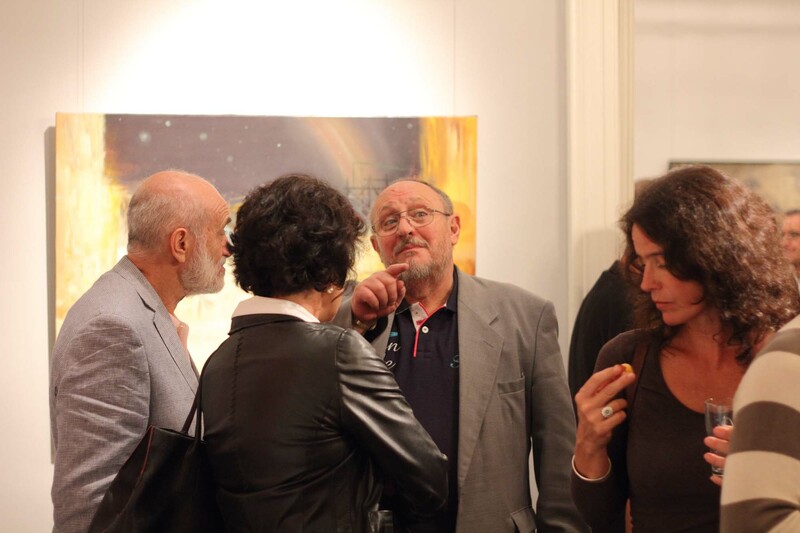 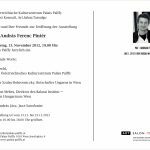 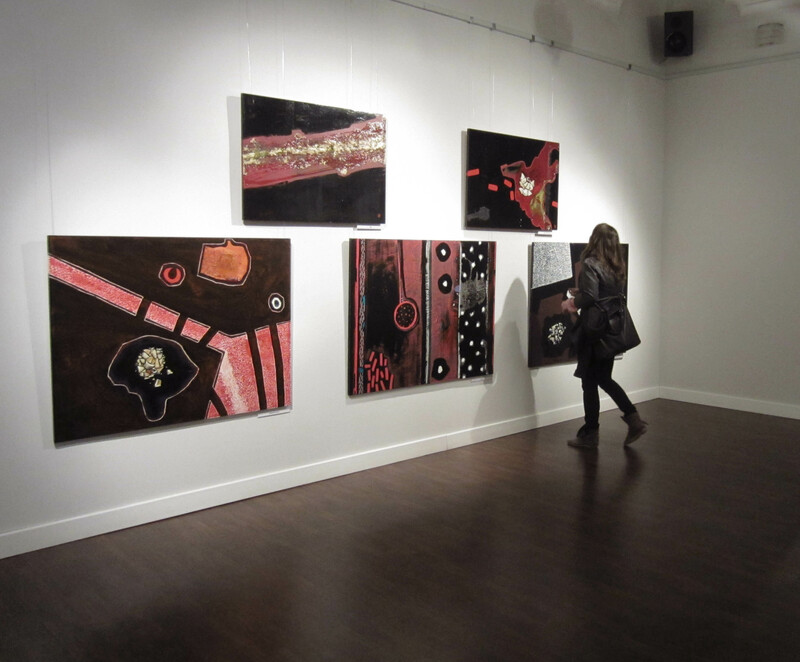 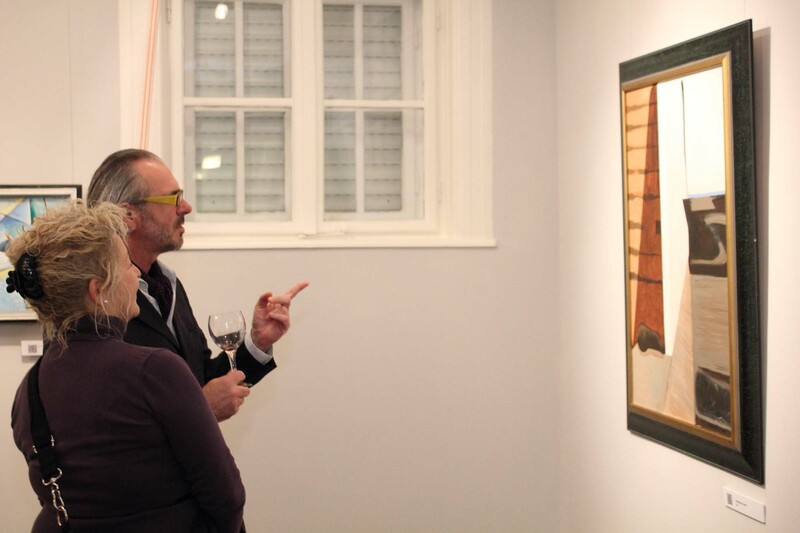 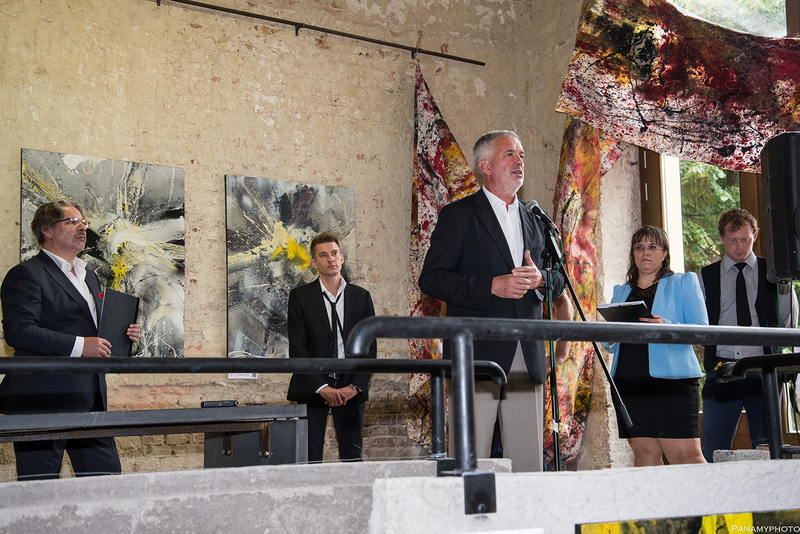 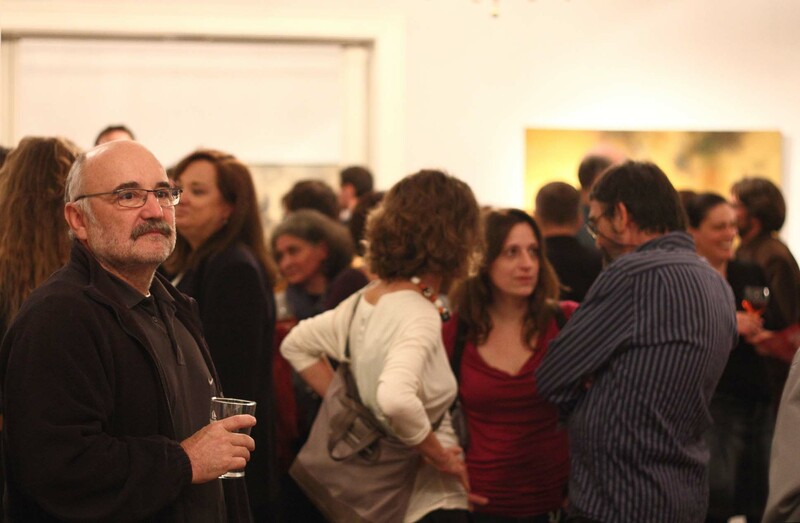 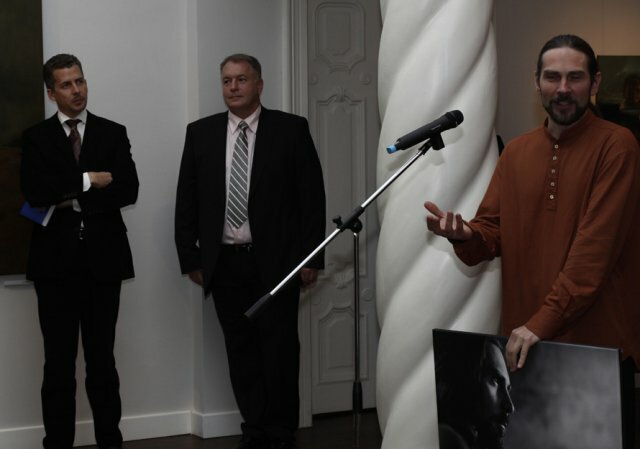 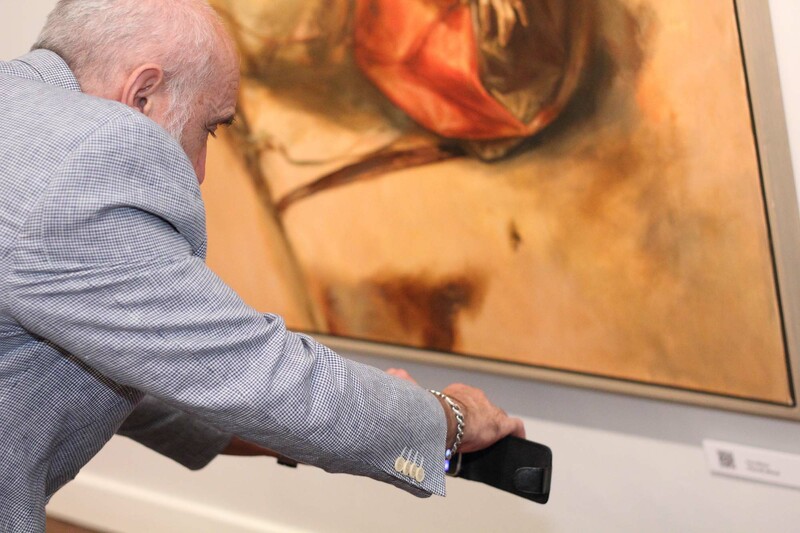 The painter not only presented new paintings, but the exhibition also includes exciting, new installations, which are due to the inspirational exhibiting space of the Nádor Gallery. 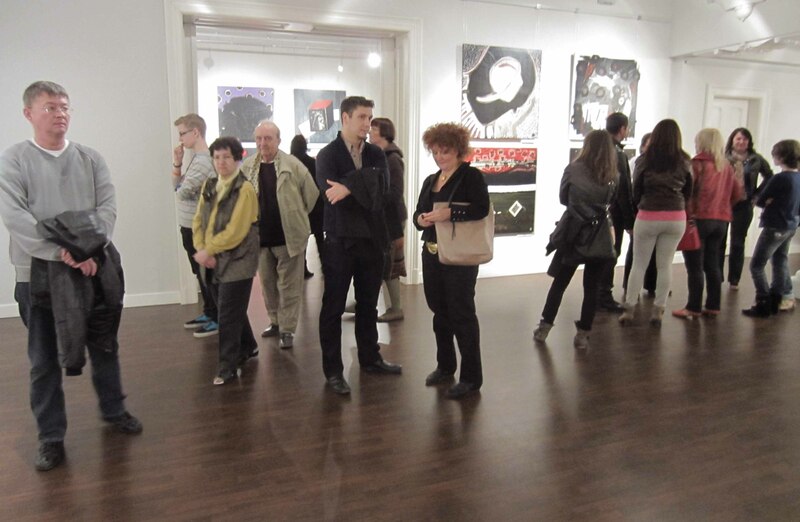 For example, the 81 meters long painted canvas, which could be defined as the clew of the exhibition. 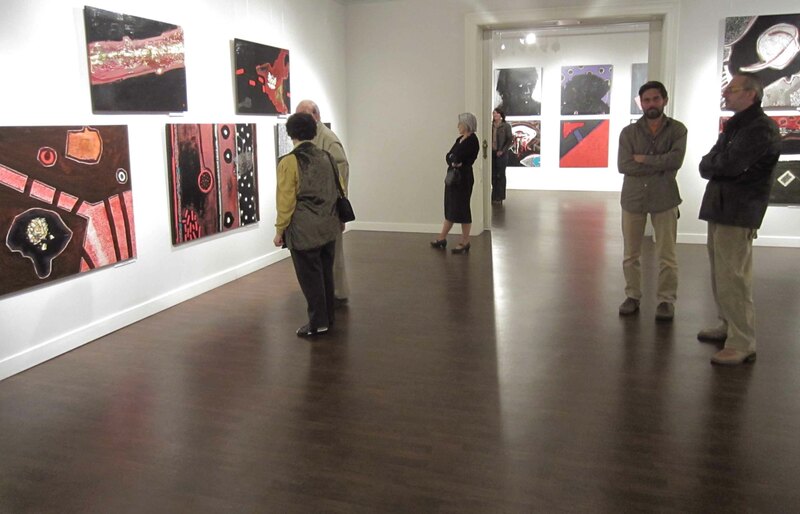 It wimples above our heads, creates the sense of infinity, it’s uproarious colors are completely ruling the space. 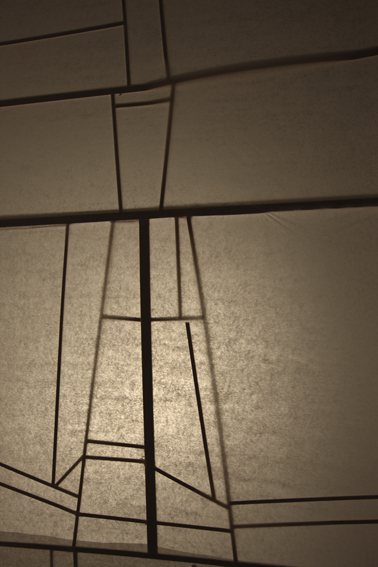 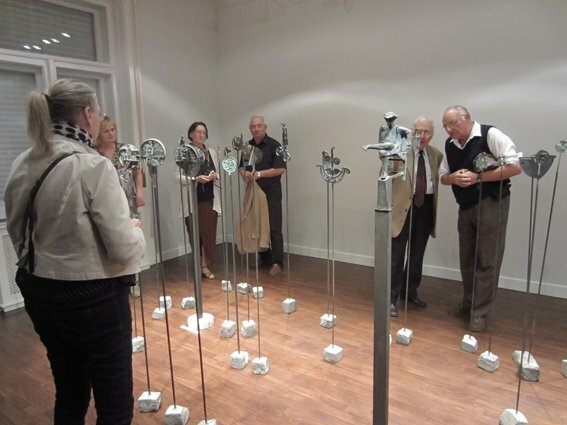 The other group of the installations arethe dress-stands, covered with gestures. 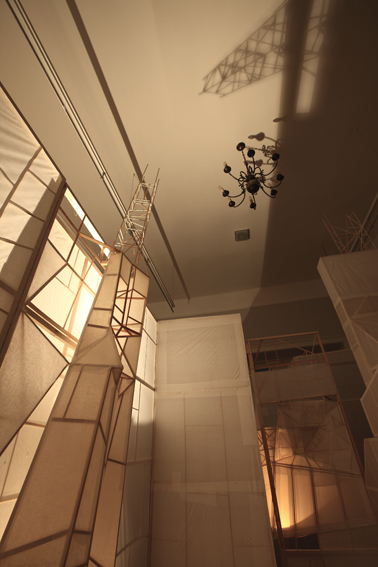 Painting of PAF animate these ordinary objects, their ordering in the space terminates their impersonality. To the saturation of the exhibition contribute the spatial paintings; boxes painted on five and six sides, which enter the viewer’s own sapce. 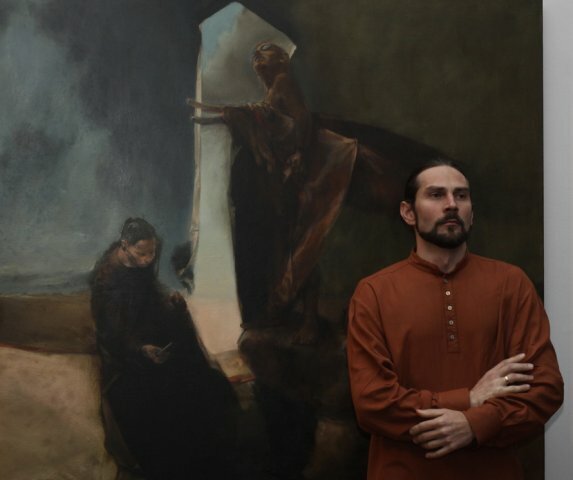 This powerful, provocative cavalcade is surrounded by the paintings on the walls, wich are the ground of all the installations. 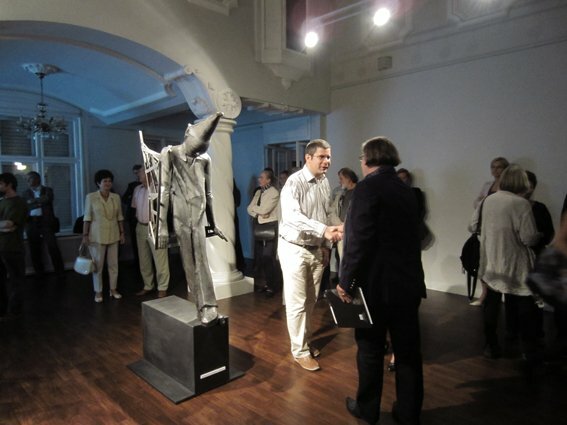 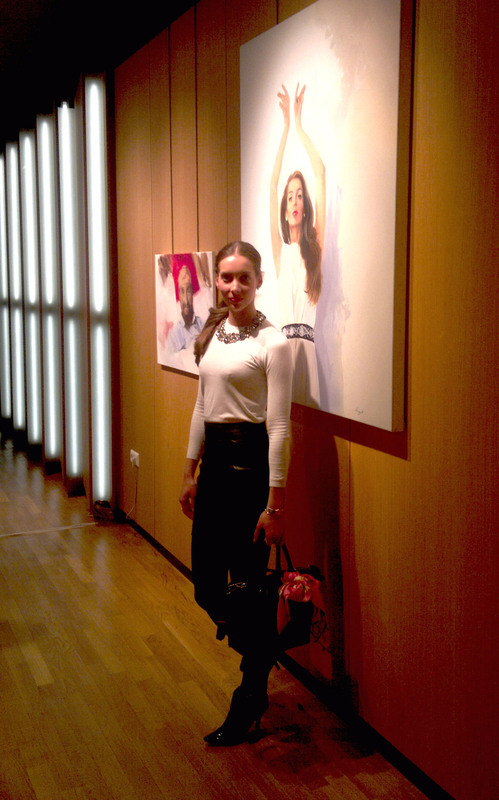 The exhibition is ordered in three units, and to top it all, all of the artworks have their own lives. 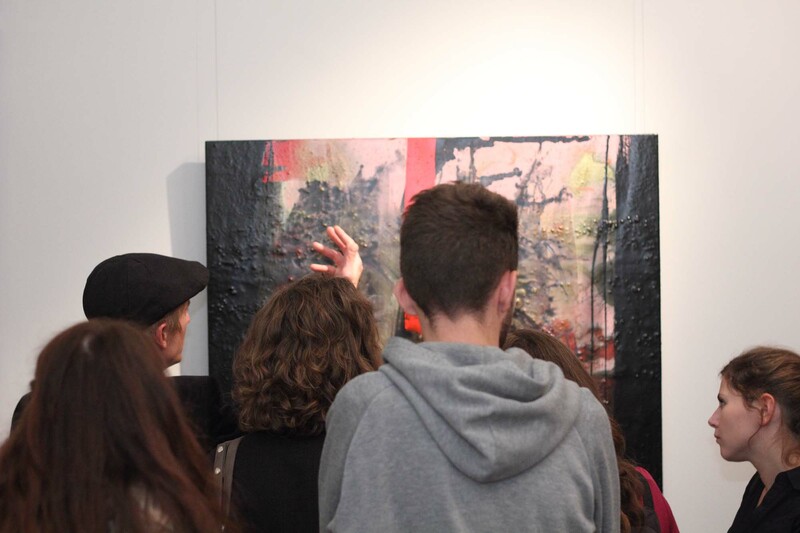 This is what makes PAF’s exhibitoin so special: this stunning variegation organizes into a whole in front of our eyes. 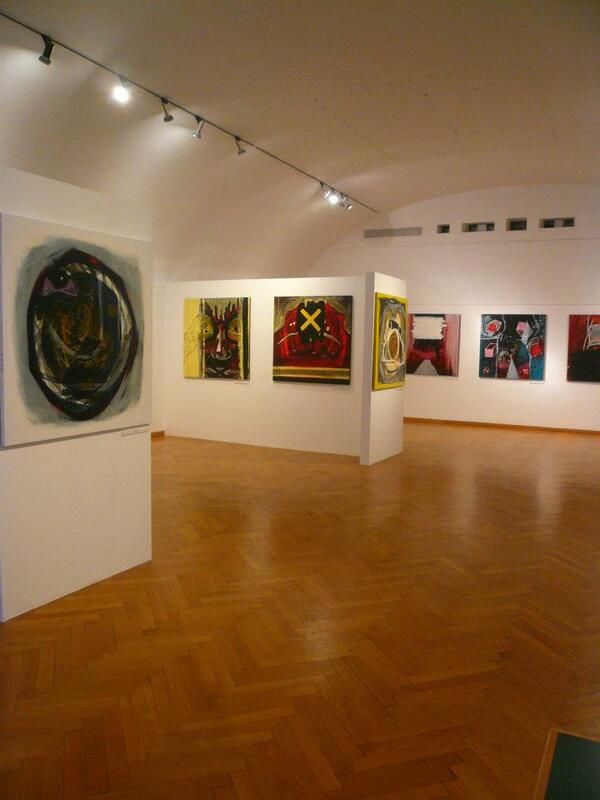 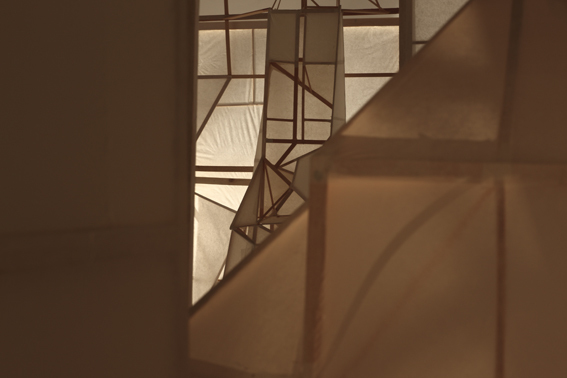 Installations and paintings intensify eachother, and lead us into a compelling world of painting. 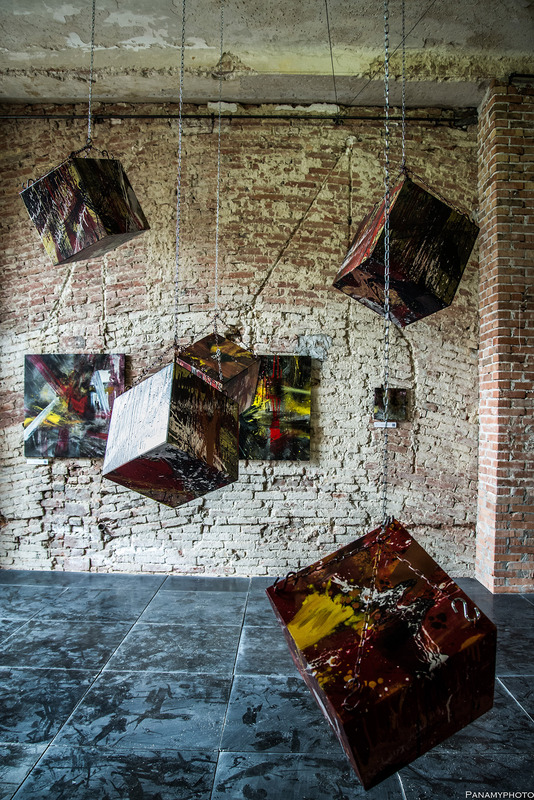 Visit the exhibition at the Nádor Gallery, have a share in this special experience given by gestures, forms, surfaces and colors. 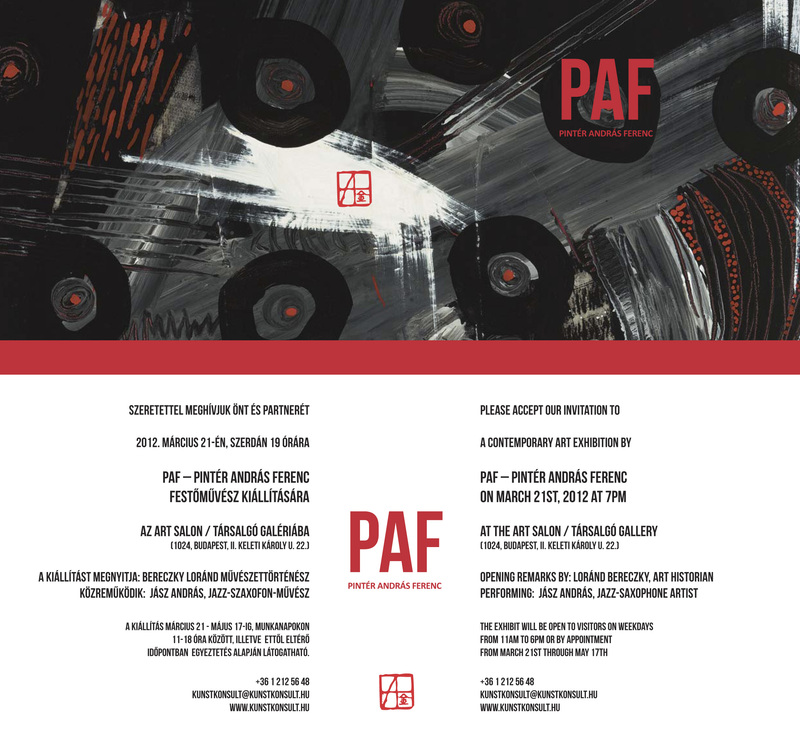 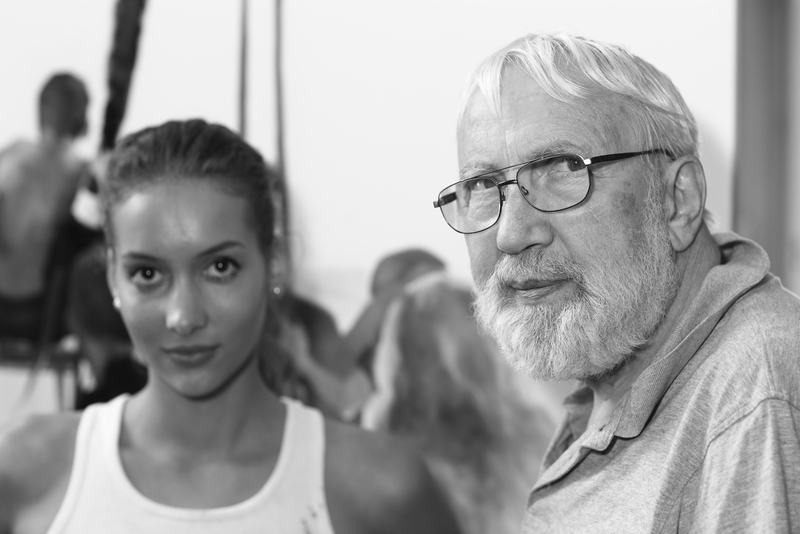 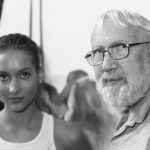 On the 21th of August PAF1s painting comes to life on the fashion collection of Eszter Cselényi with an irregular performance, then on the 28th of August with ministration of András Jász, jazz saxophone artist and Zsirai, we discover the connections of art, music and wine. 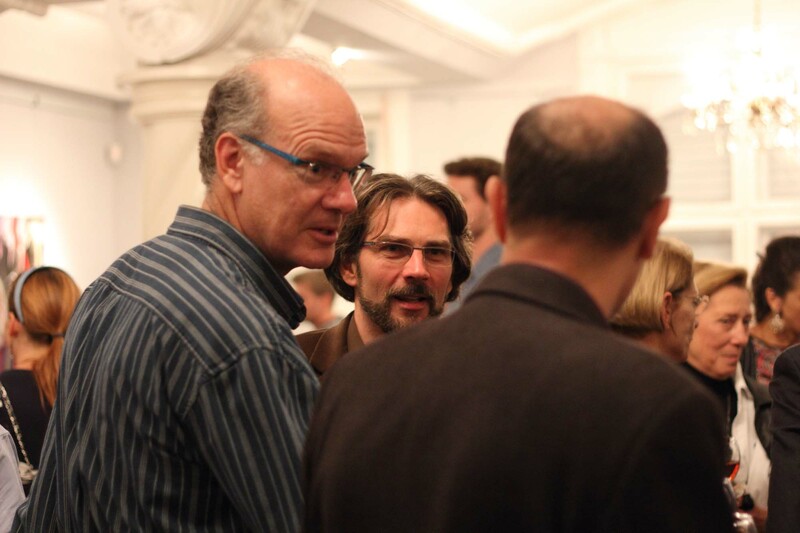 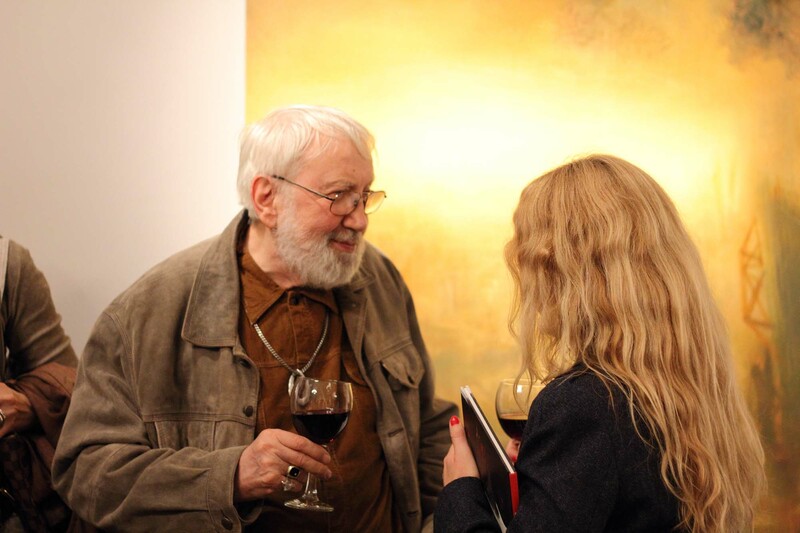 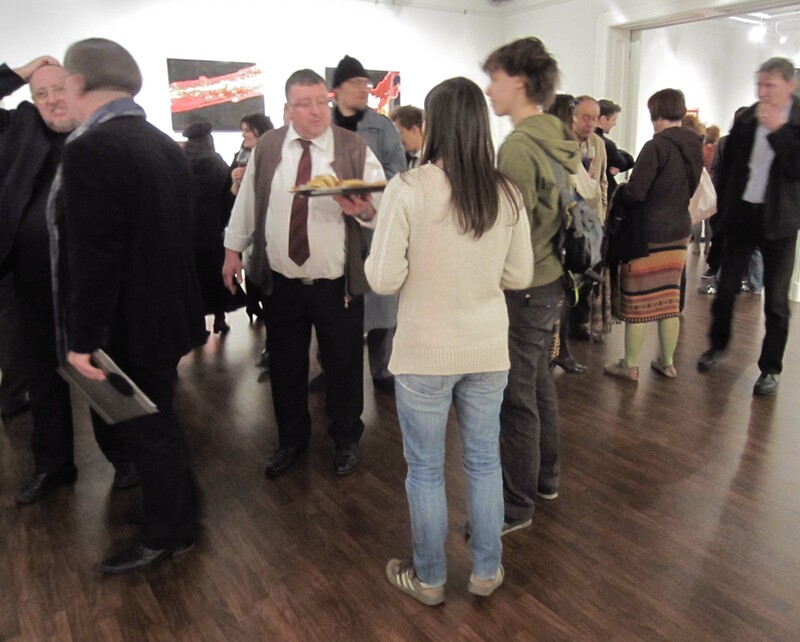 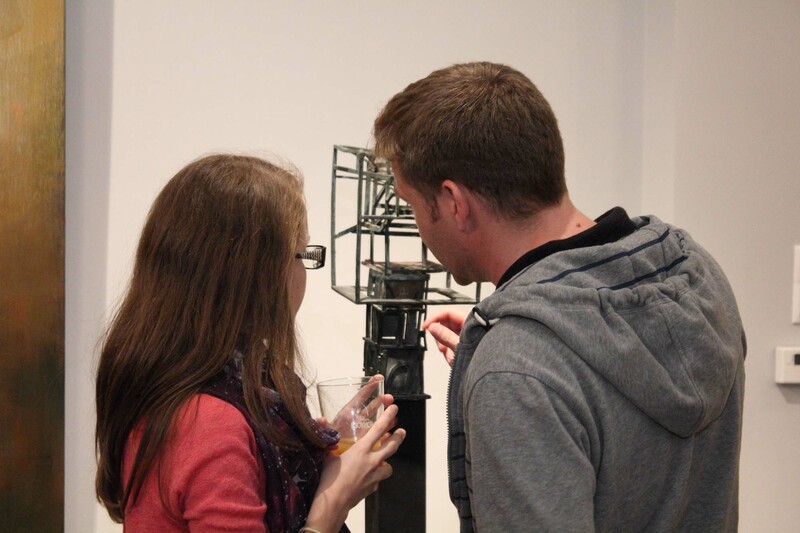 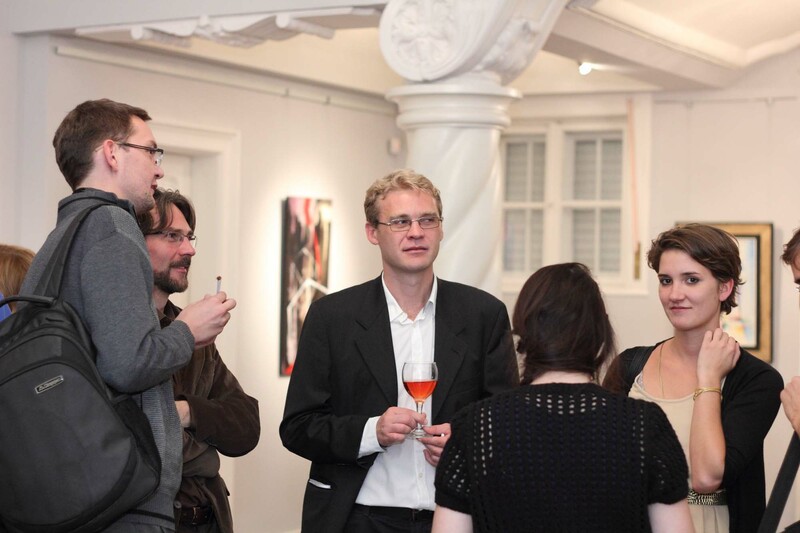 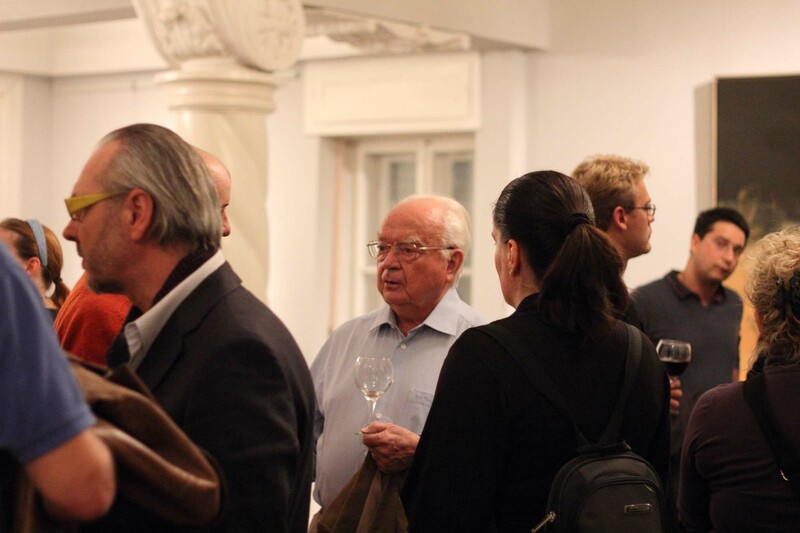 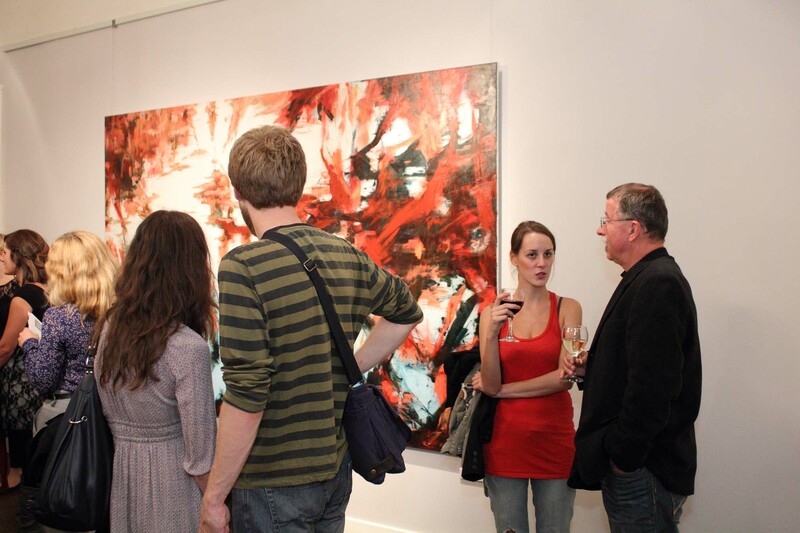 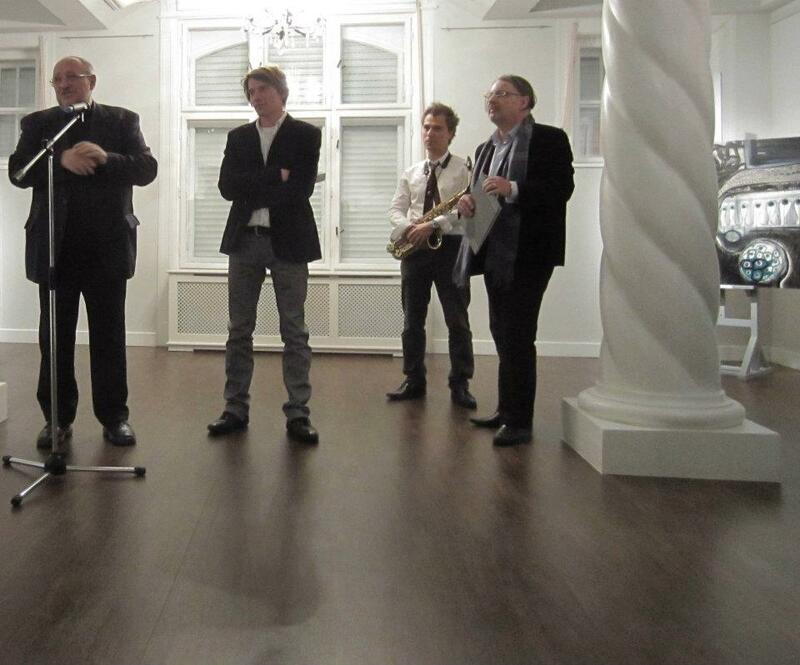 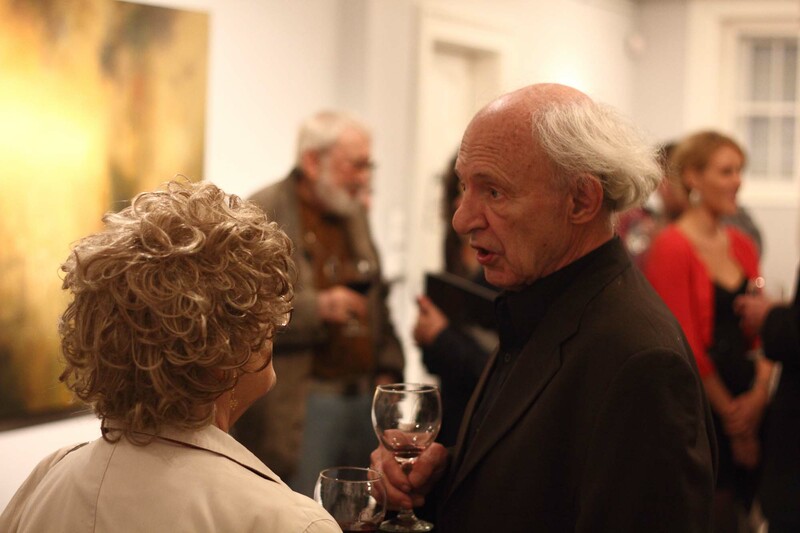 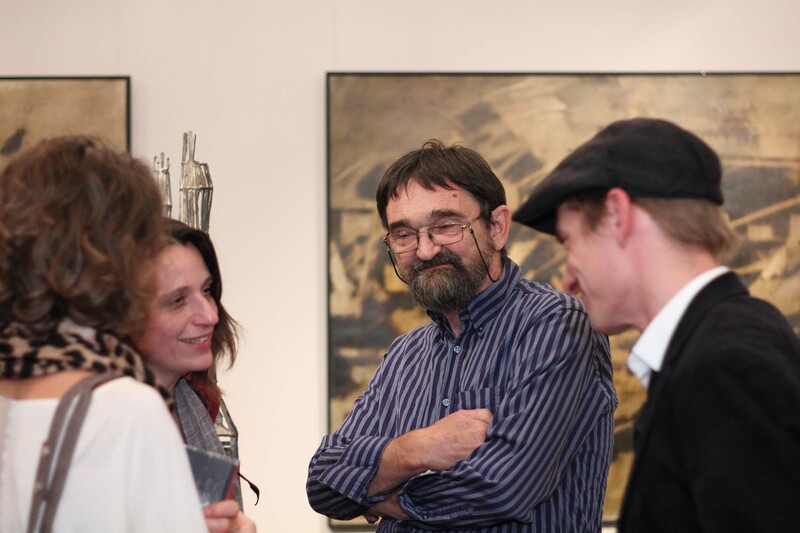 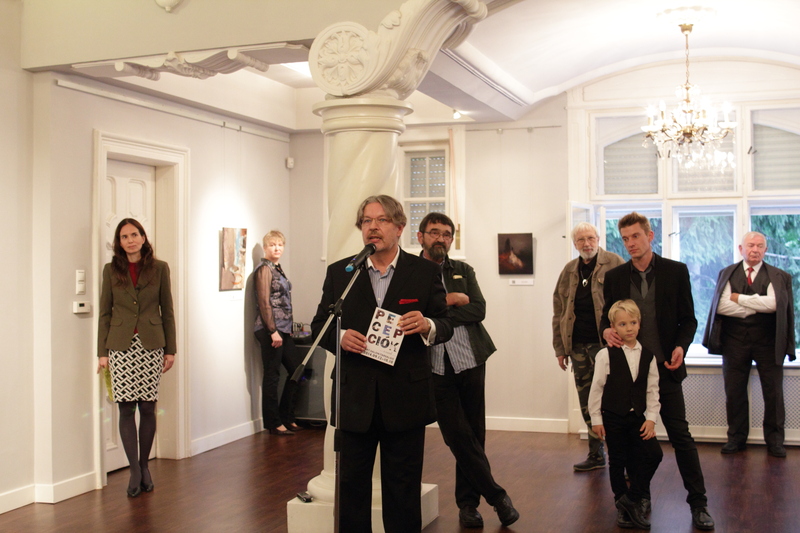 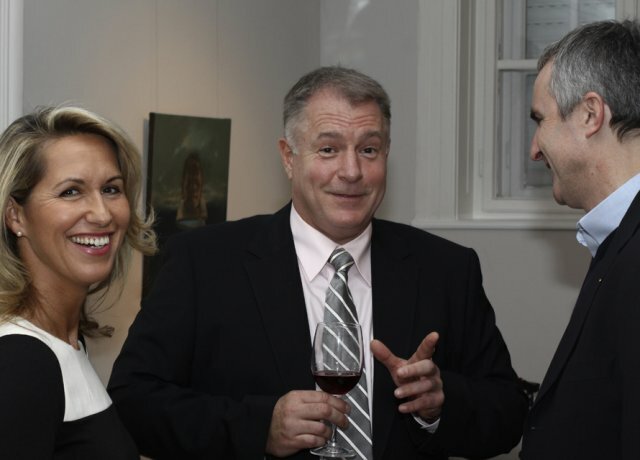 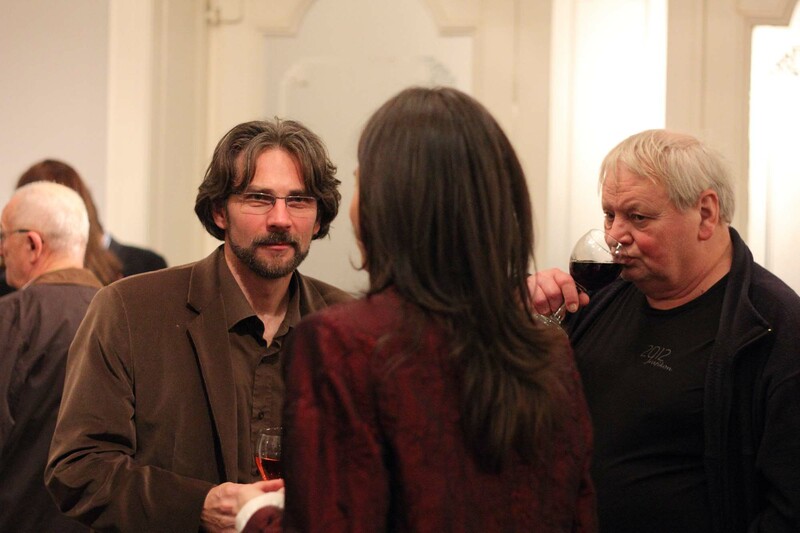 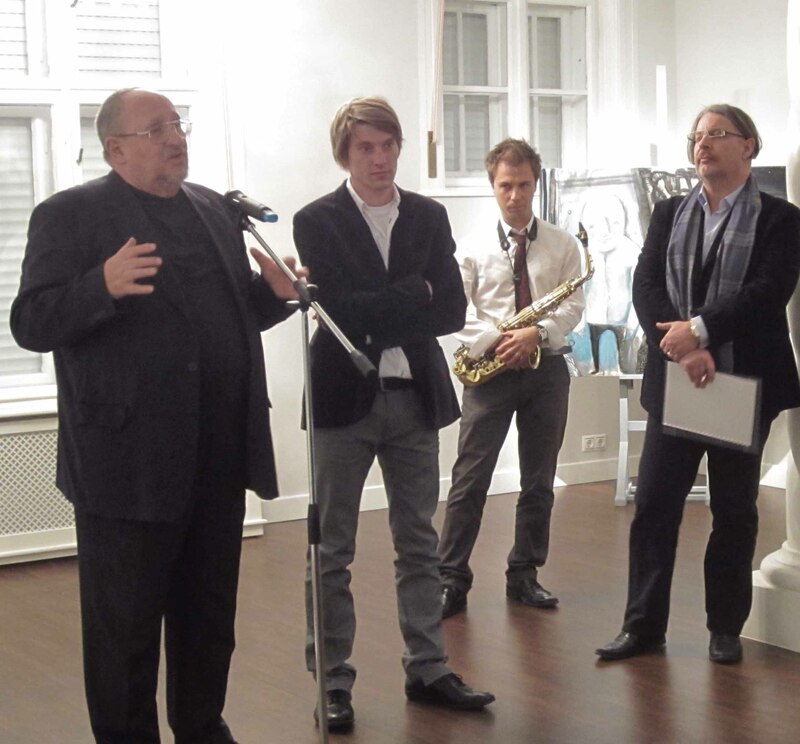 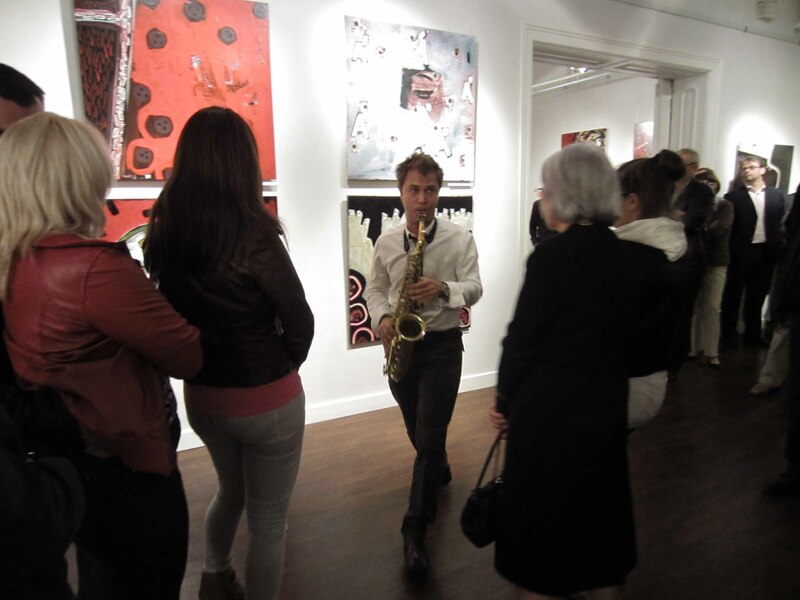 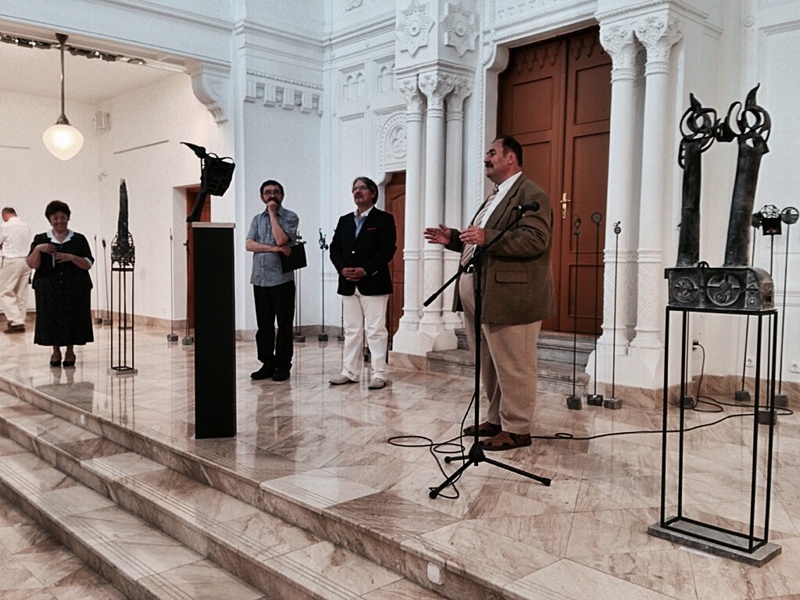 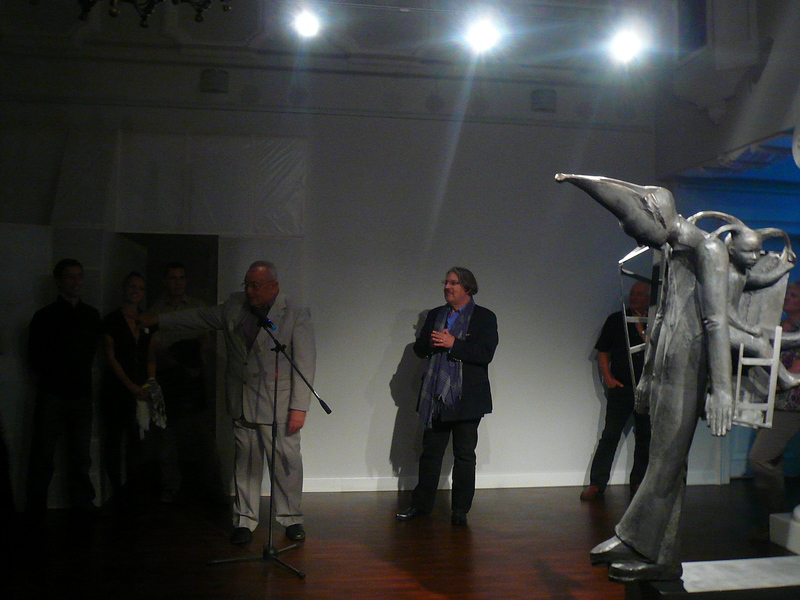 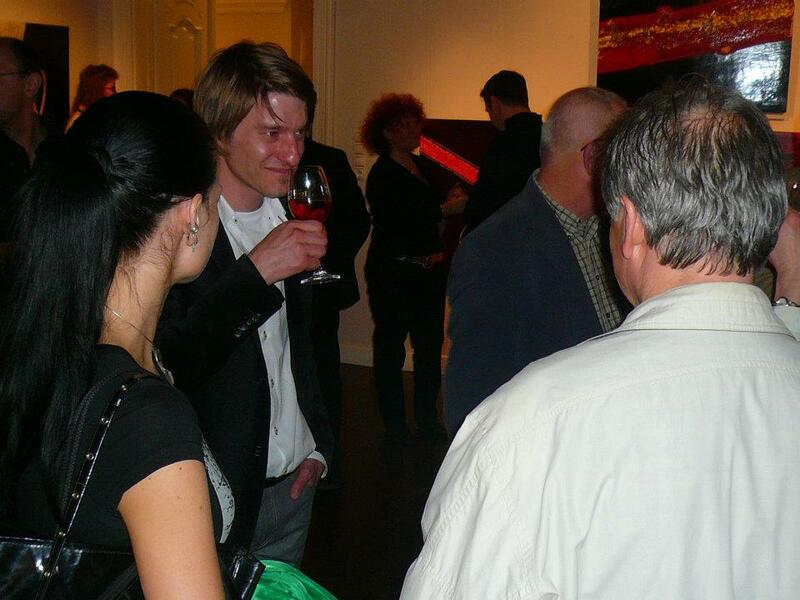 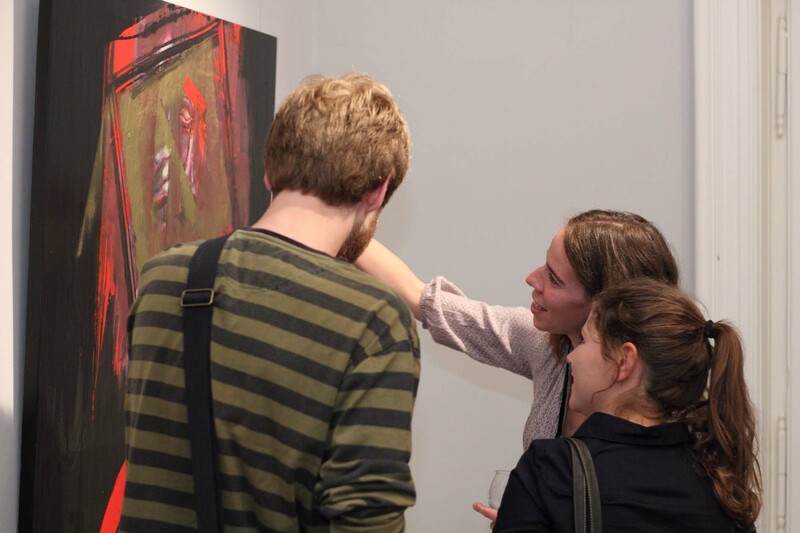 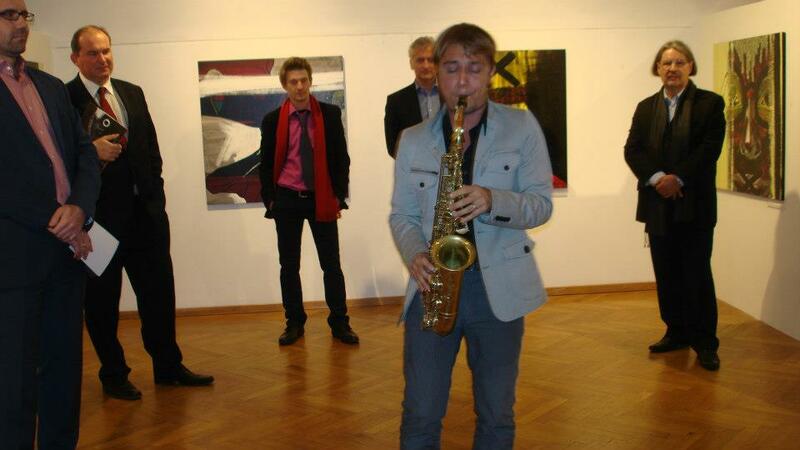 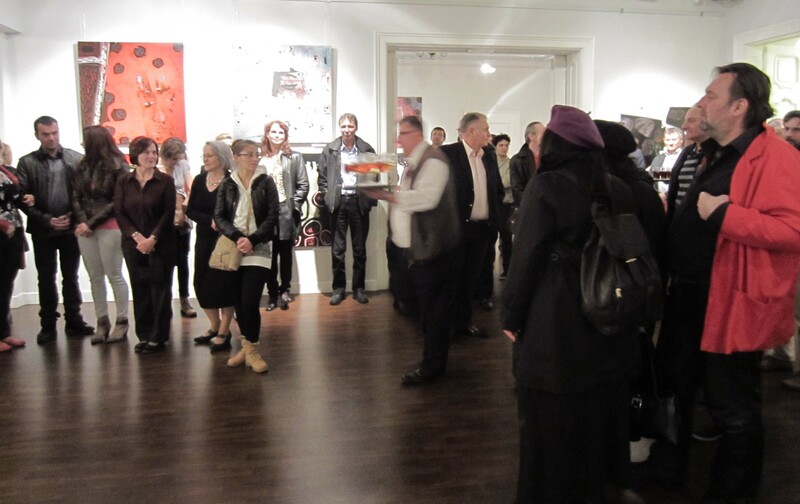 On 26th of June in Graz, in Gallery Eugen Lendl the „Dialog 2” group exhibition was opened. 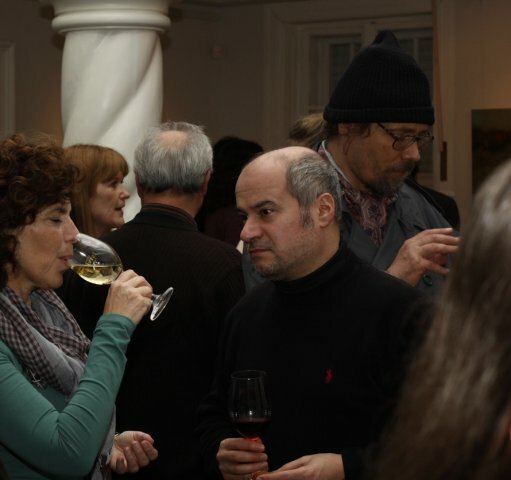 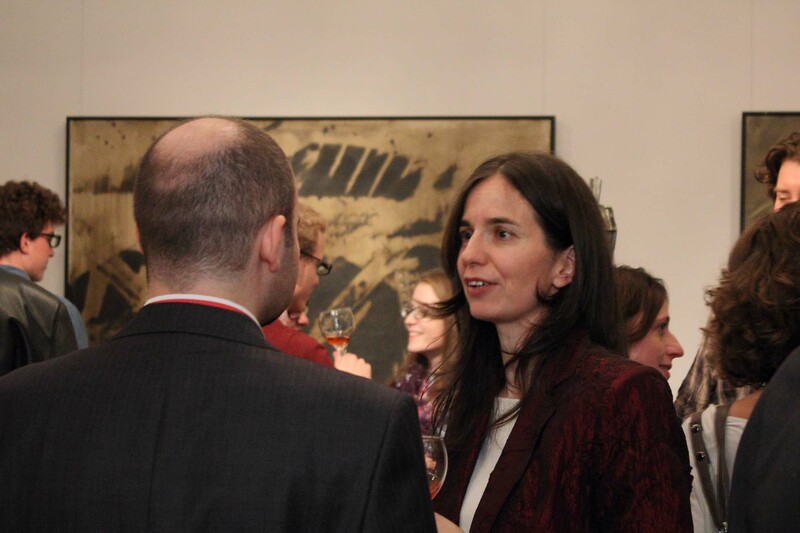 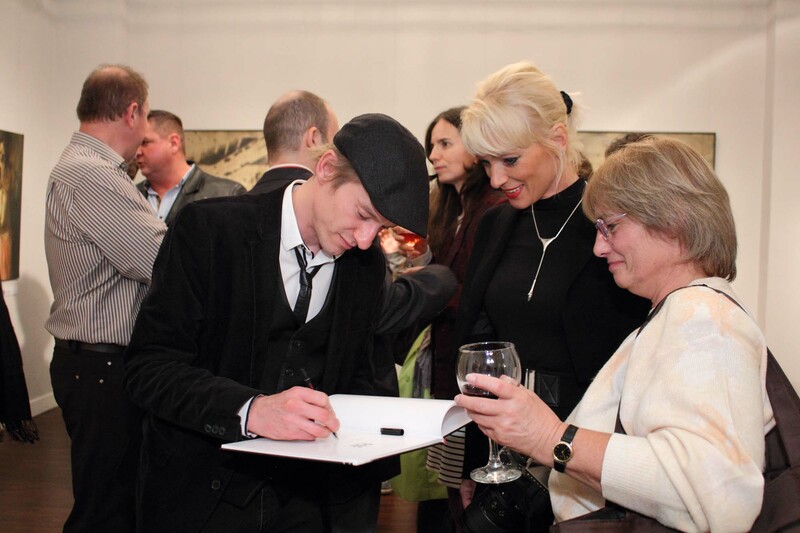 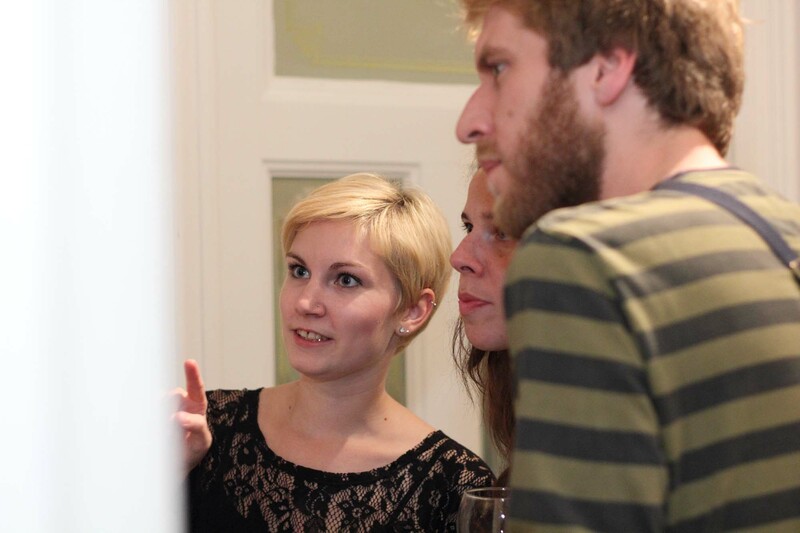 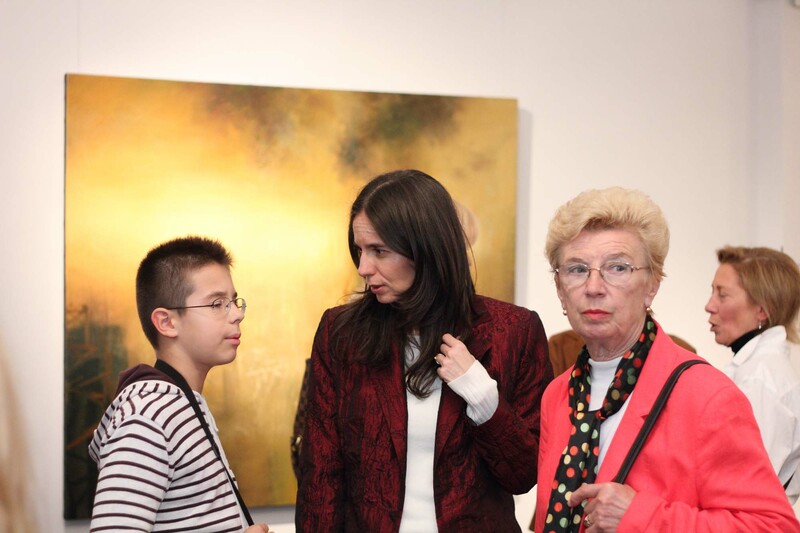 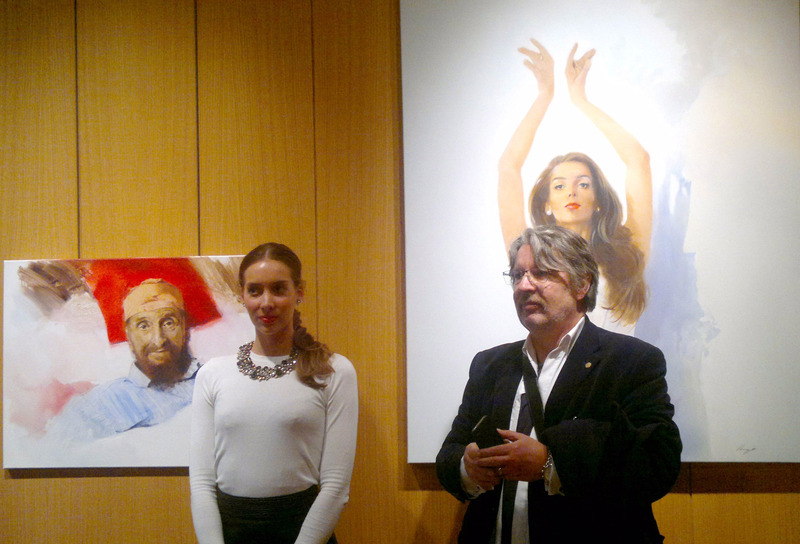 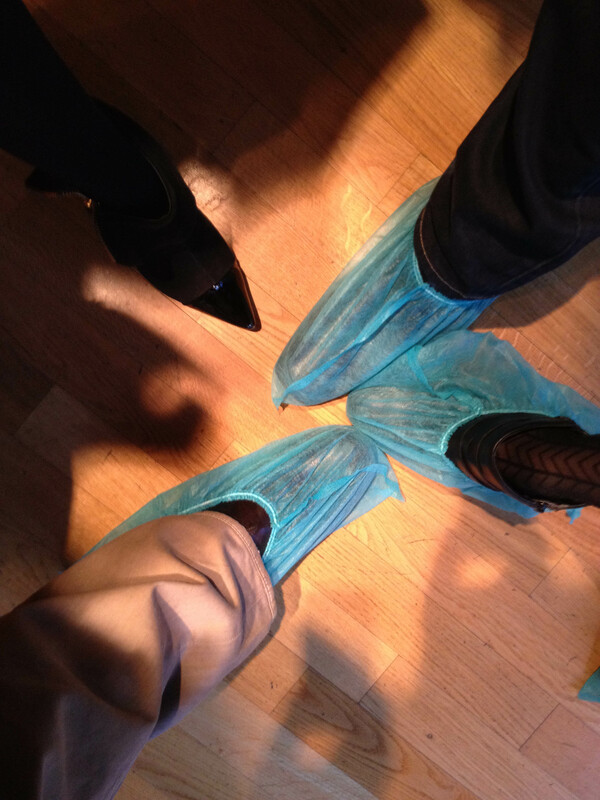 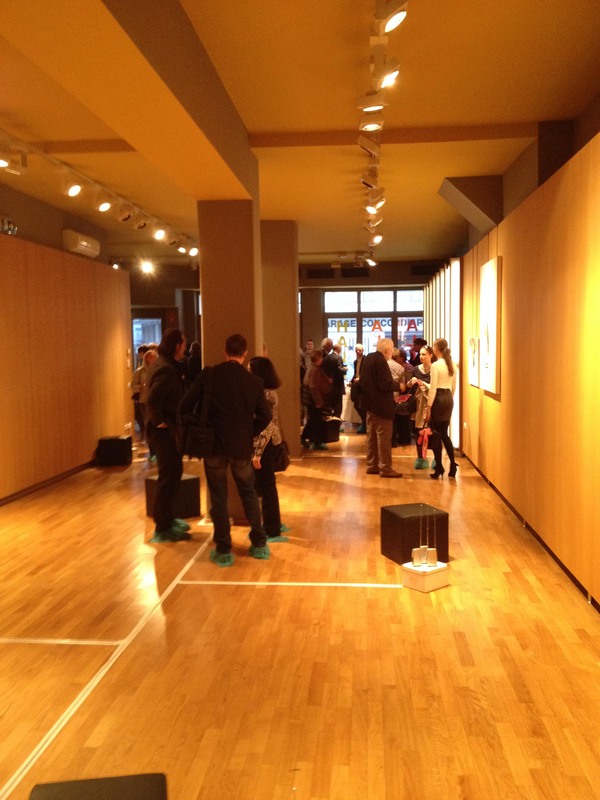 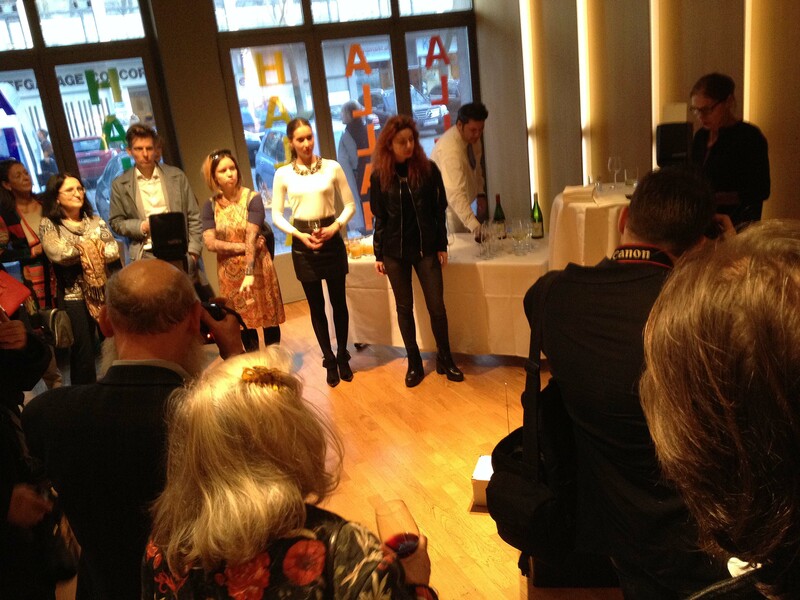 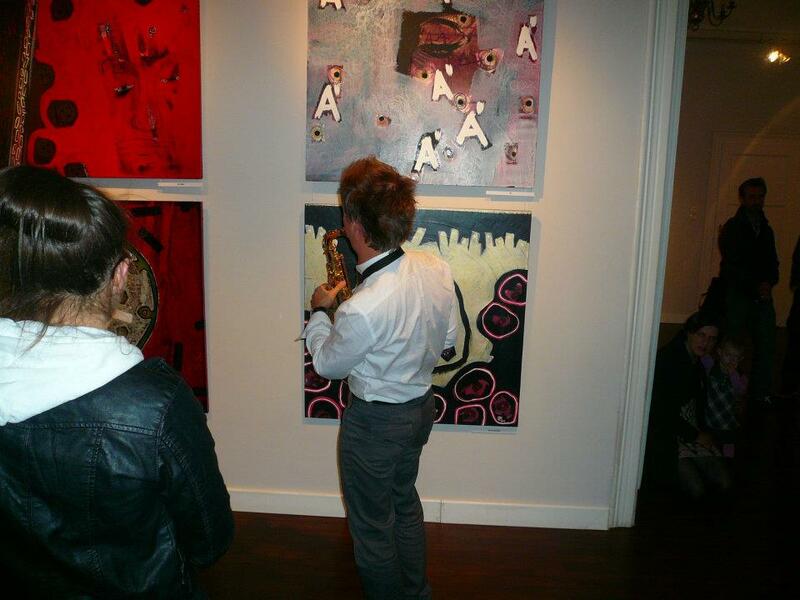 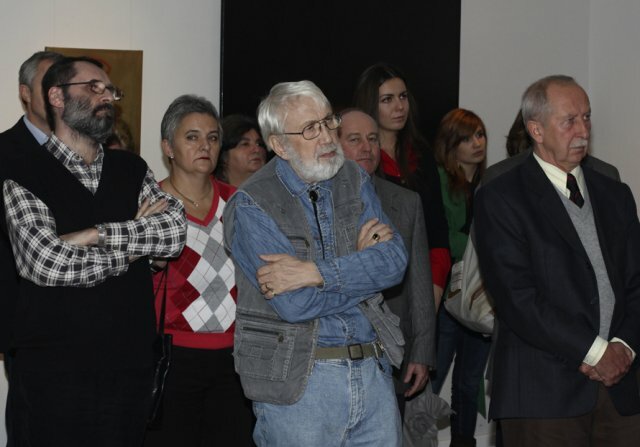 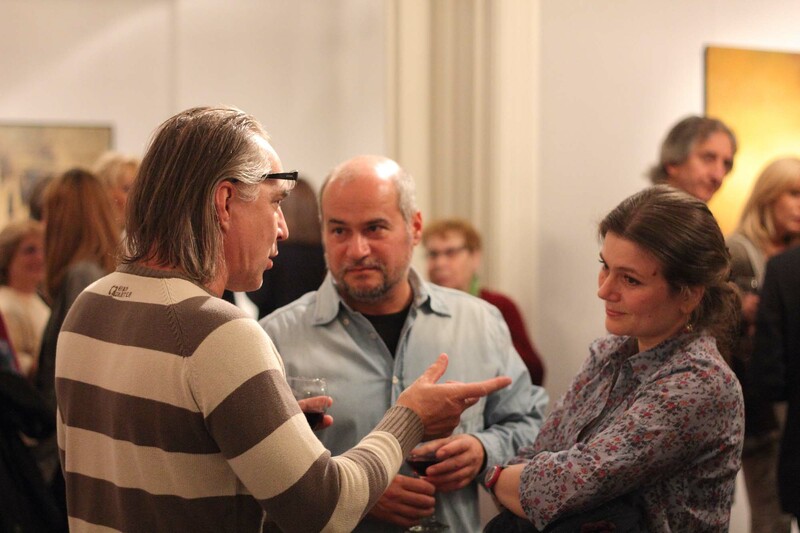 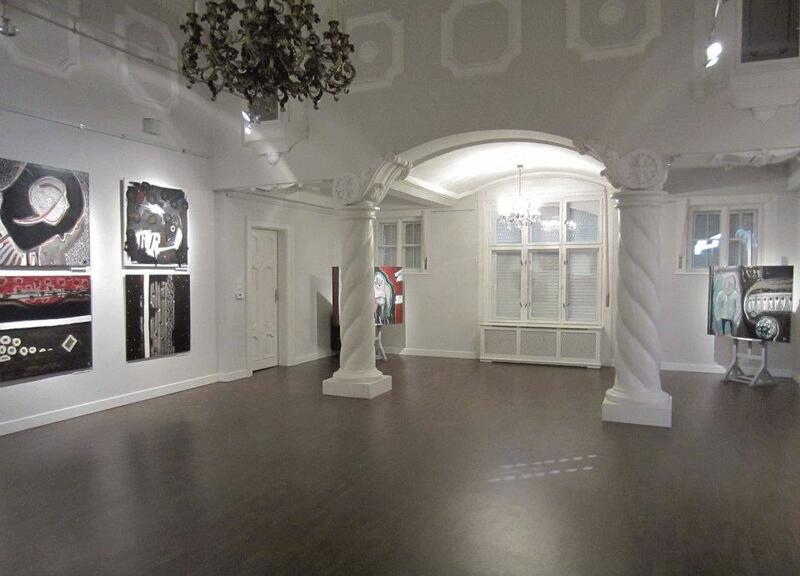 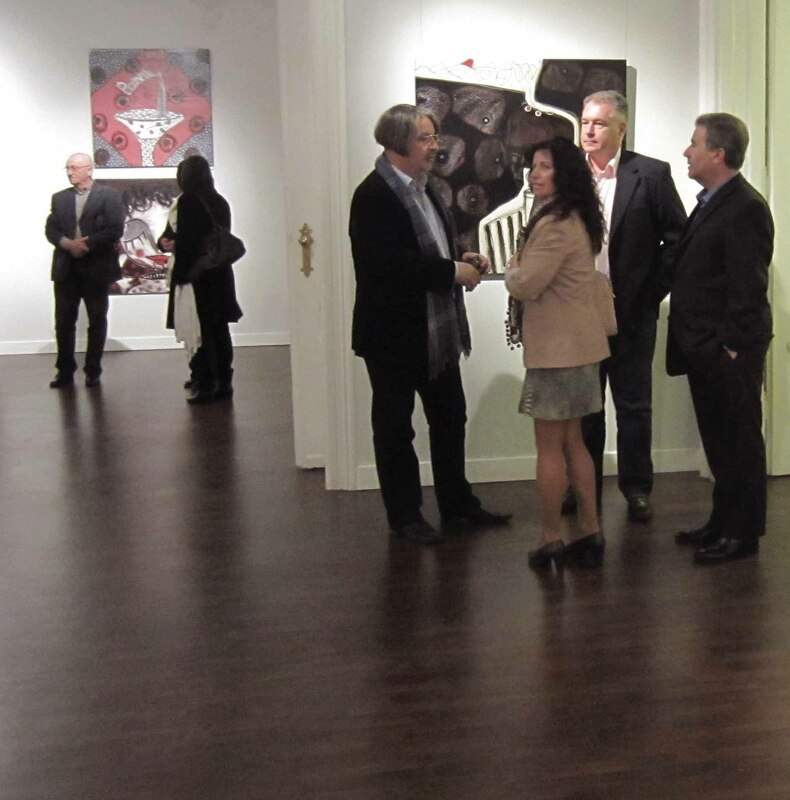 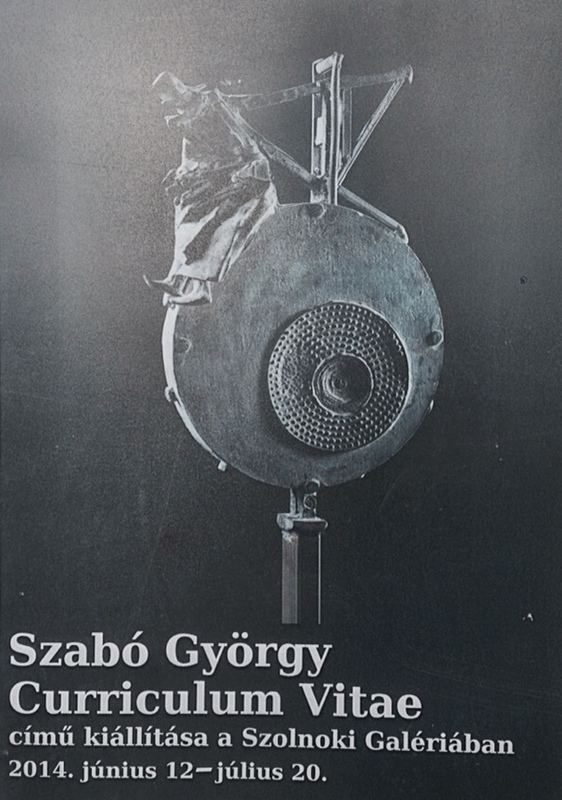 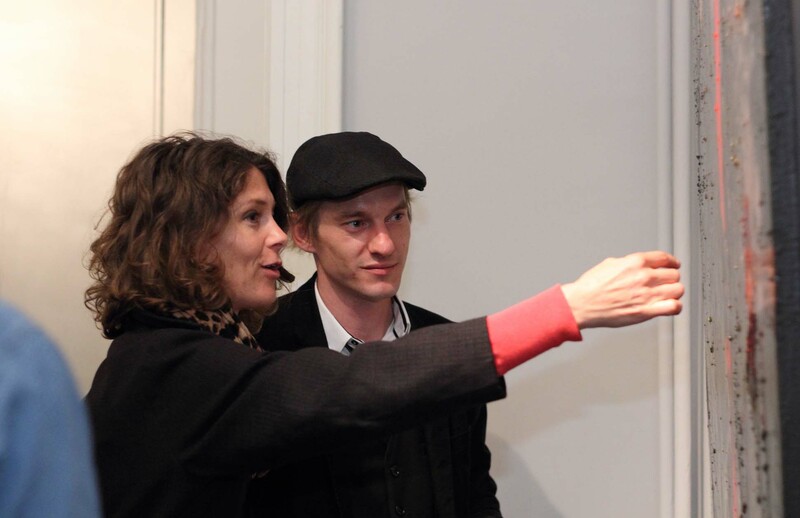 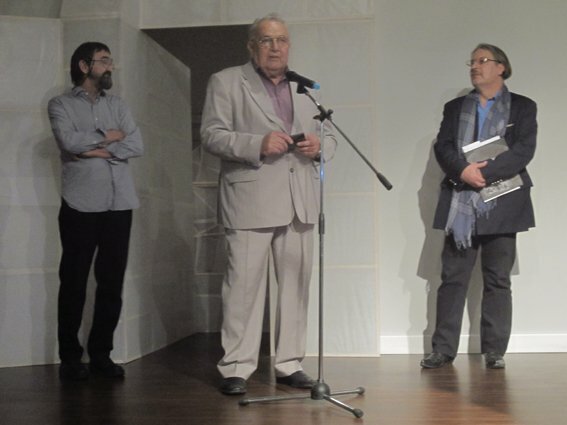 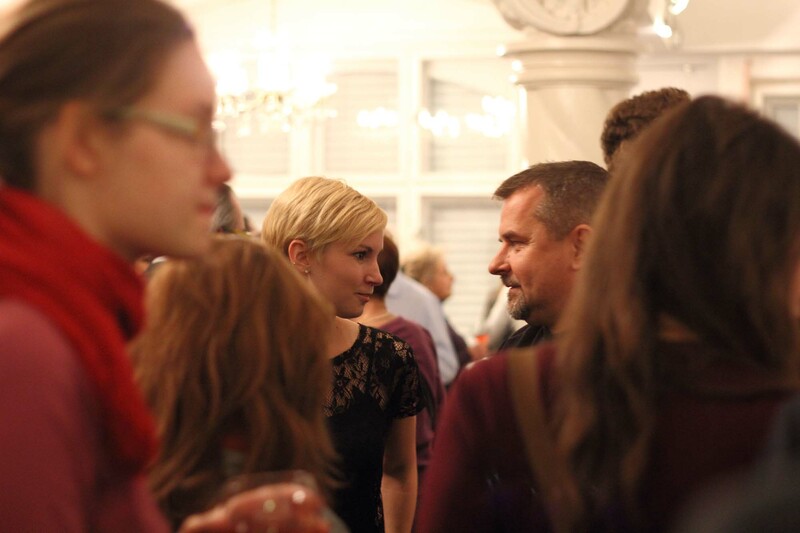 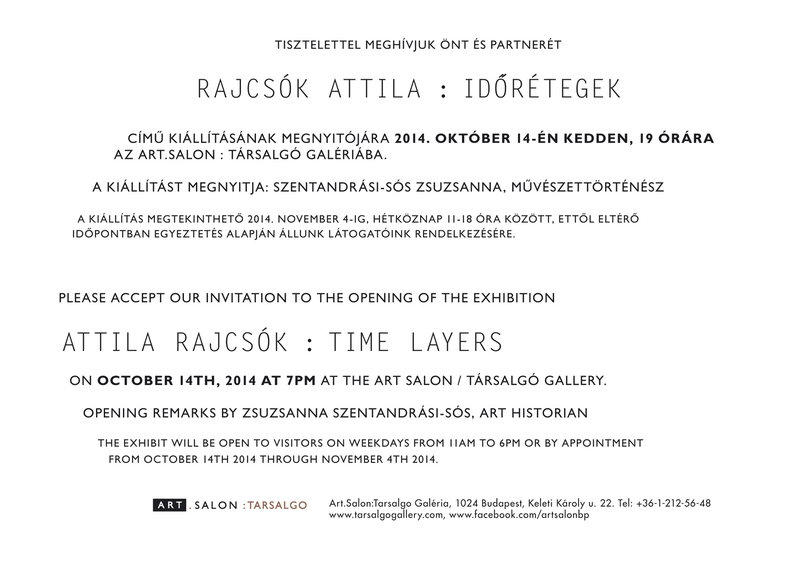 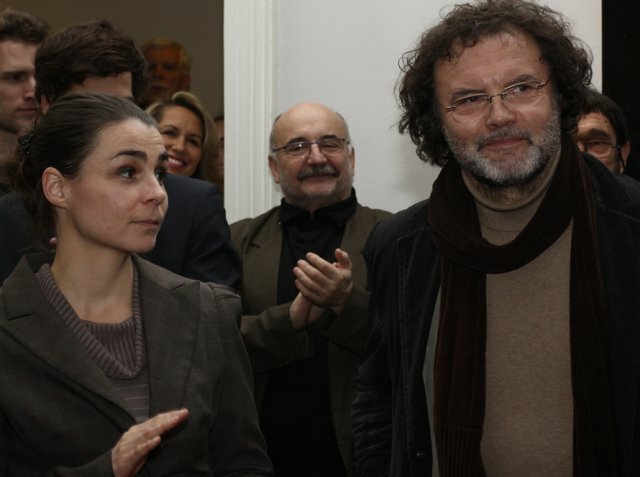 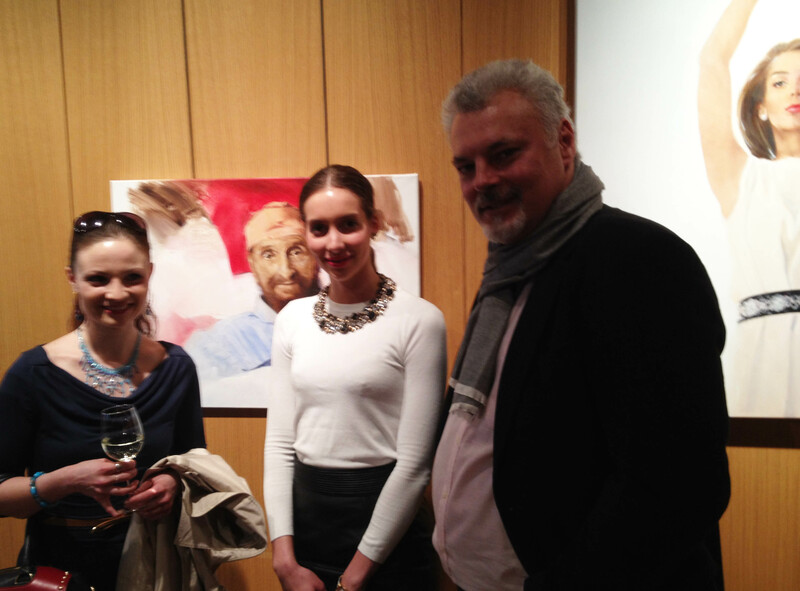 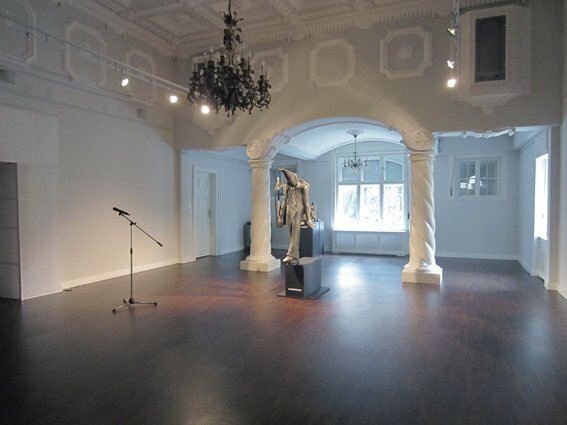 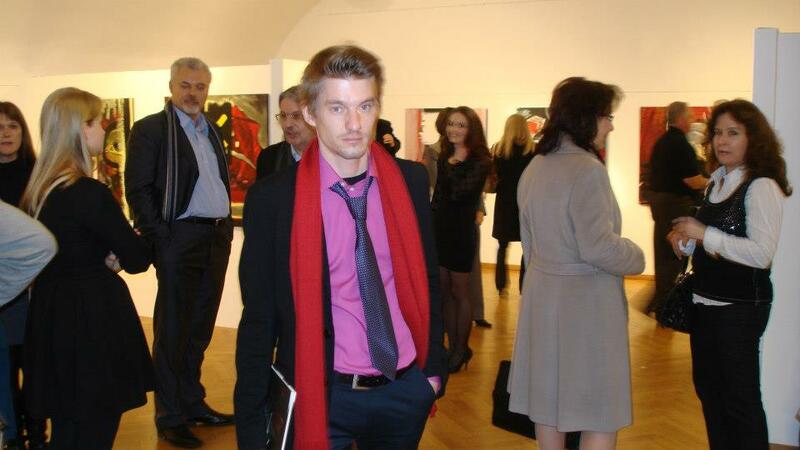 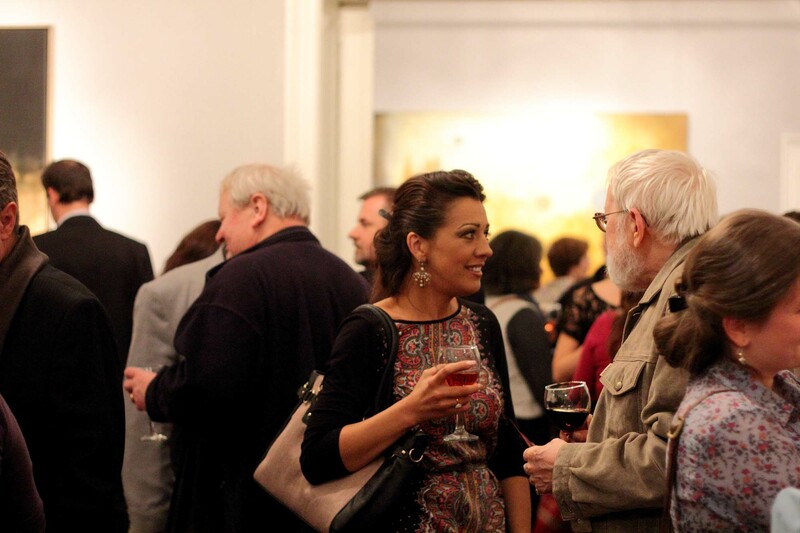 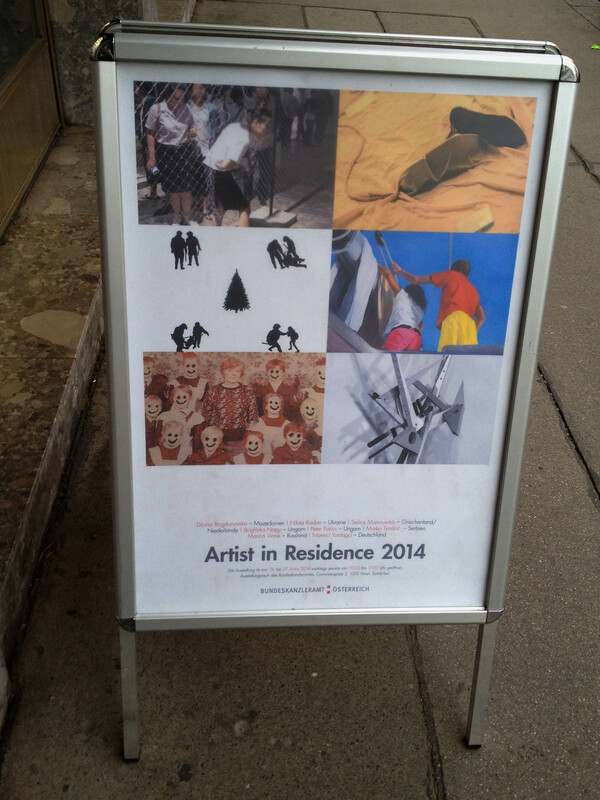 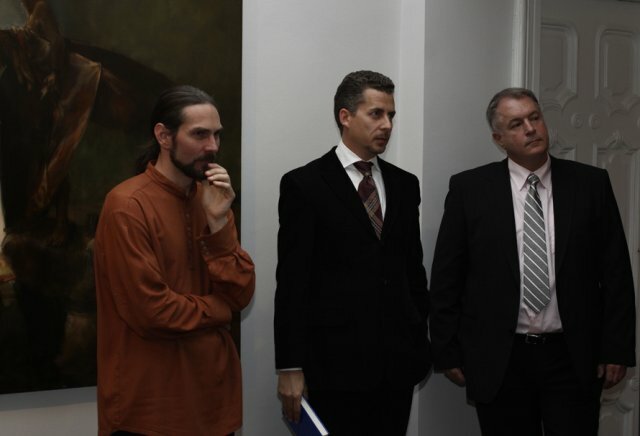 Three painters of the Art Salon\Társalgó Gallery shared the exhibiton space with four austrian artists. 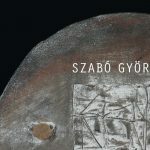 The seething gestures of Stefan Maitz; expansive forms of Christian KRI Kammerhofer; abstract visions of Josef Wurm and the expressiveness of drawing by Michael Fanta have a word with the shadowy landscapes of Róbert Csáki; refined system of gestures by Imre Barna Balázs and the powerful colors of PAF. 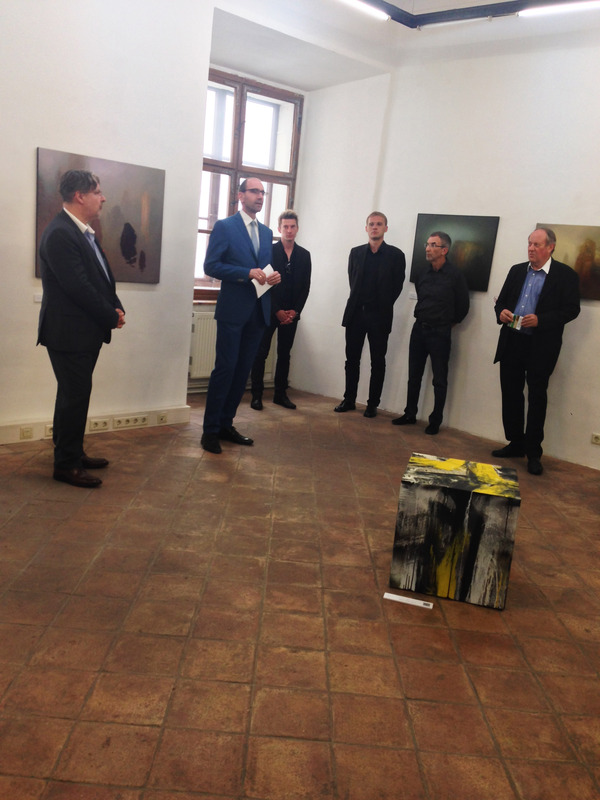 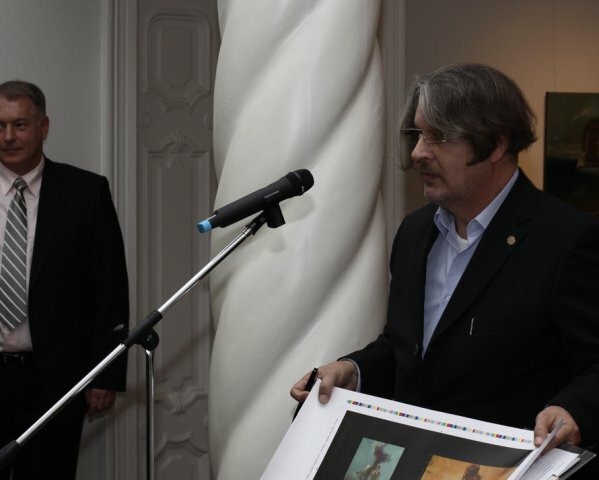 Dr. Márton Méhes, director of Collegium Hungaricum Wien emphasized in his opening speech, that there are energies in the space, created by the artworks effecting eachother. 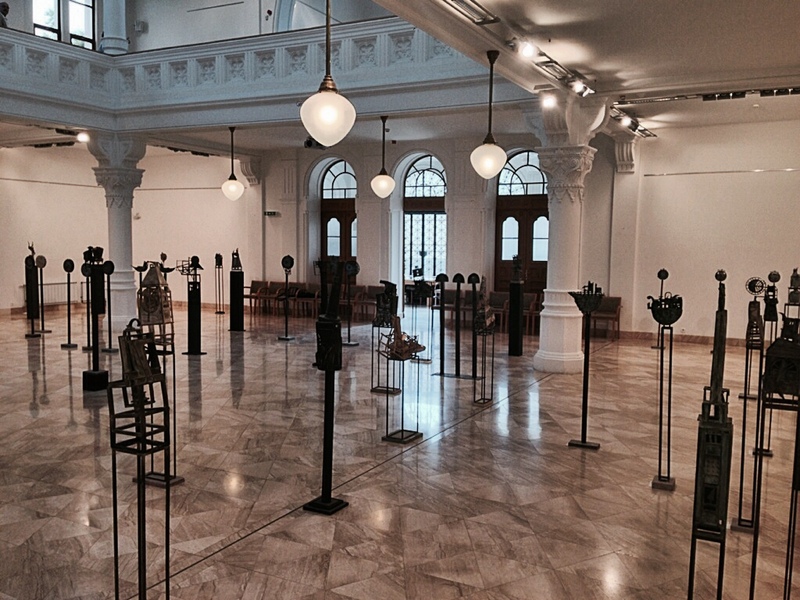 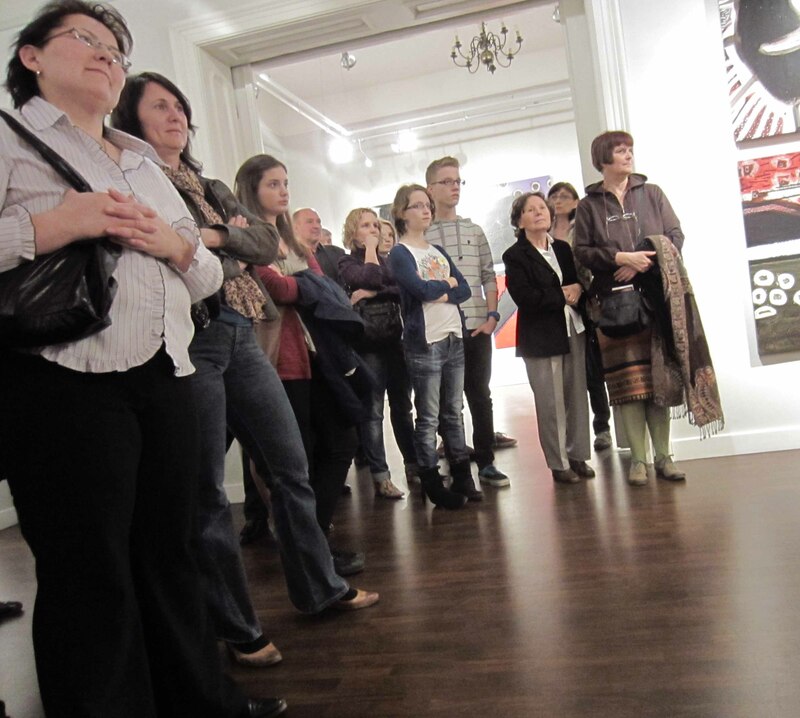 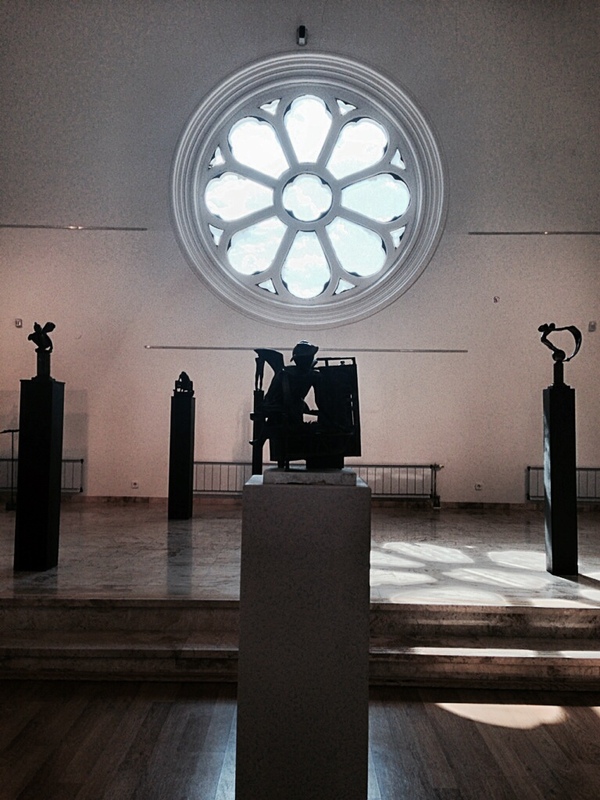 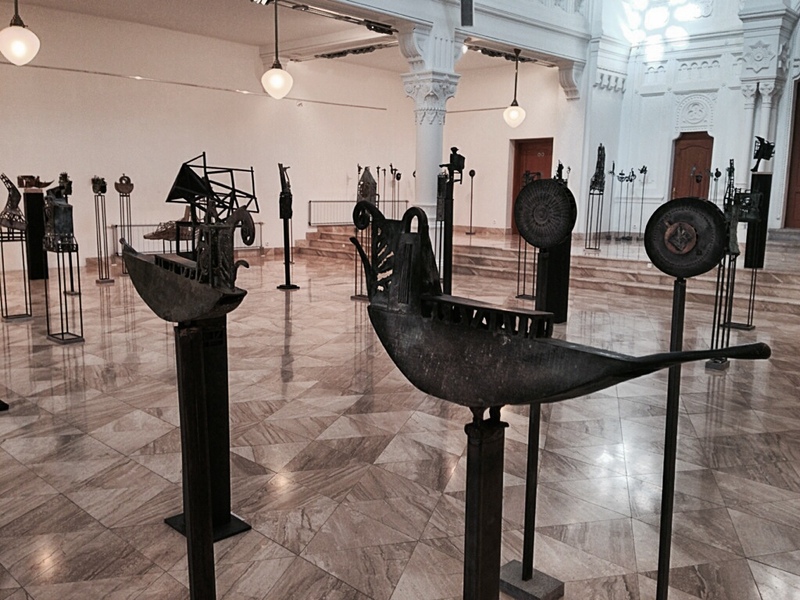 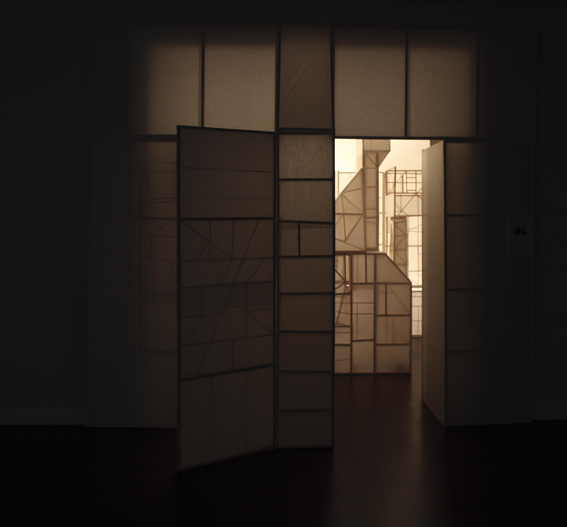 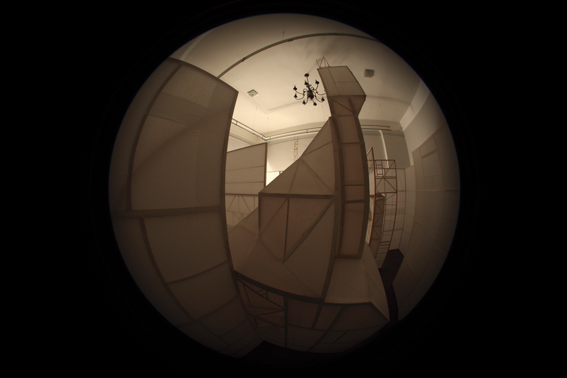 Truly, the halls of the gallery become a field, in which different artistic visions, styles and techniques open themselves to eachother. 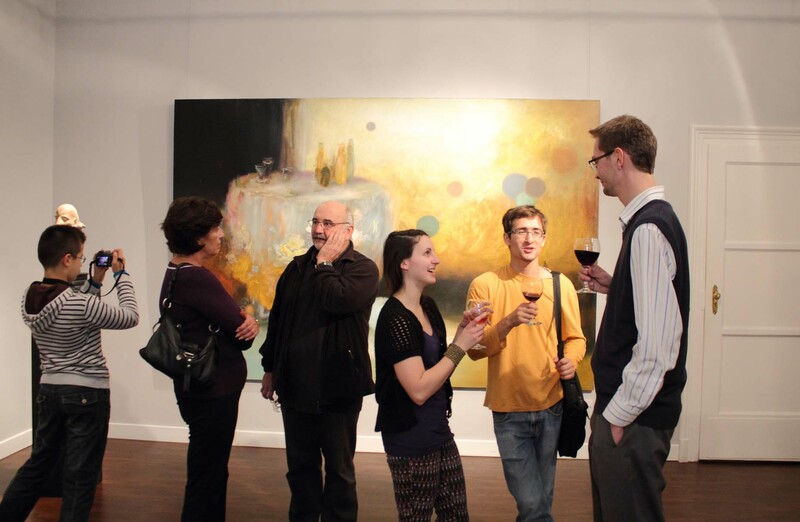 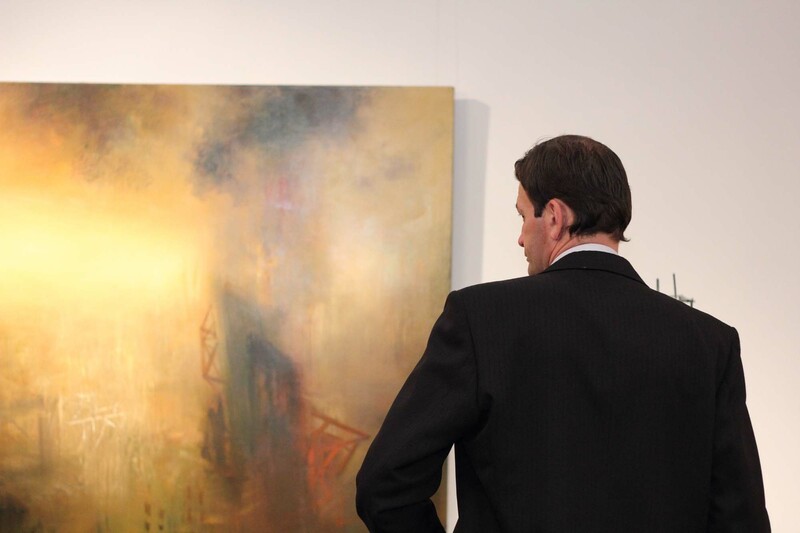 „Dialog 2” gives the viewer the opportunity to indite and shape the connections of the artworks. 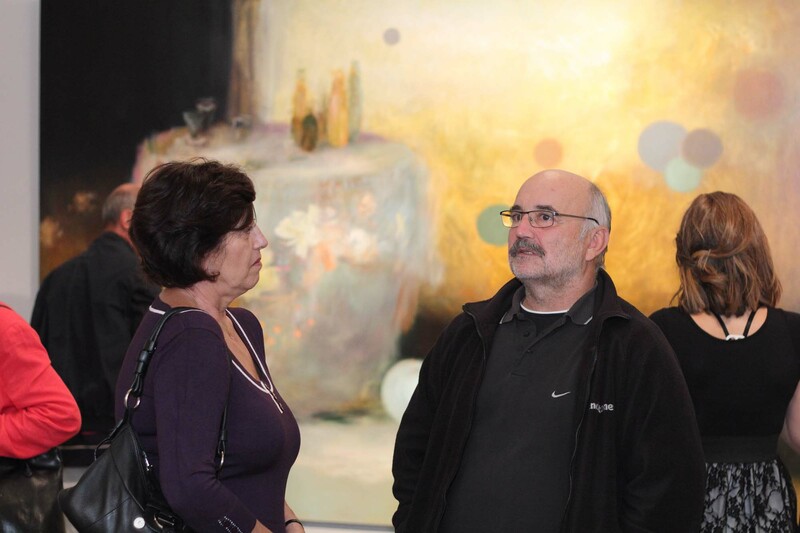 So the concept of the exhibition insures a broad playing field for the paintings, and for the visitors as well. 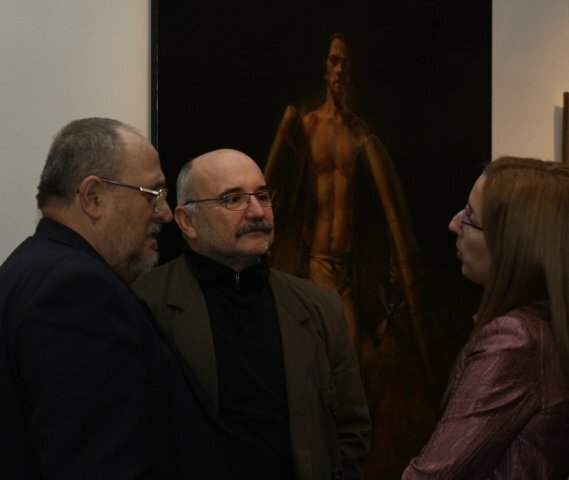 Exciting, thought-provoking opennes of „Dialog 2” reveals, that art is a general language, which is able to blur any boundaries.